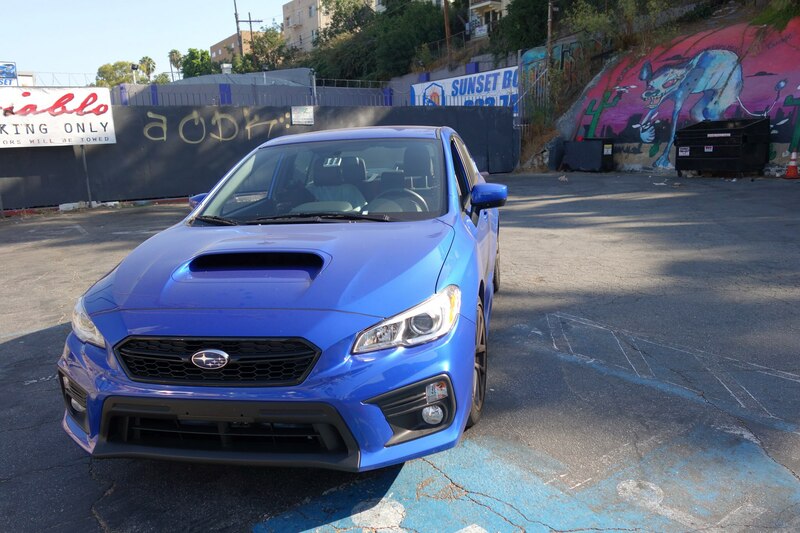 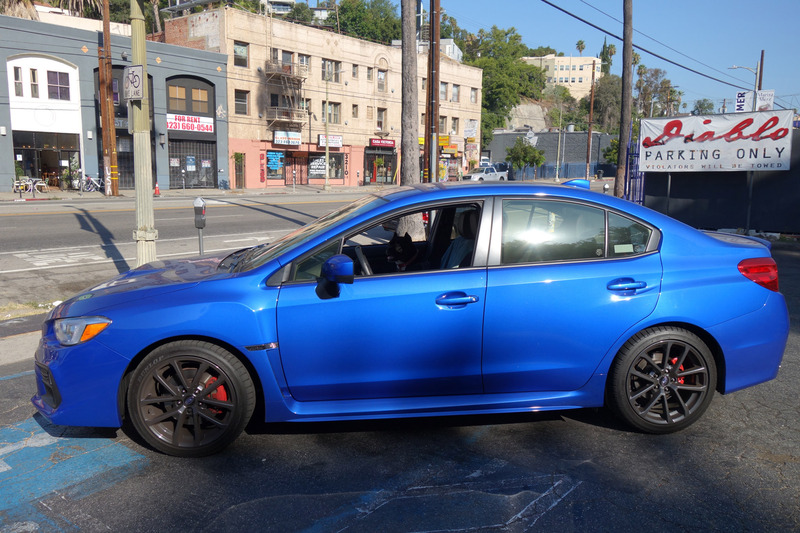 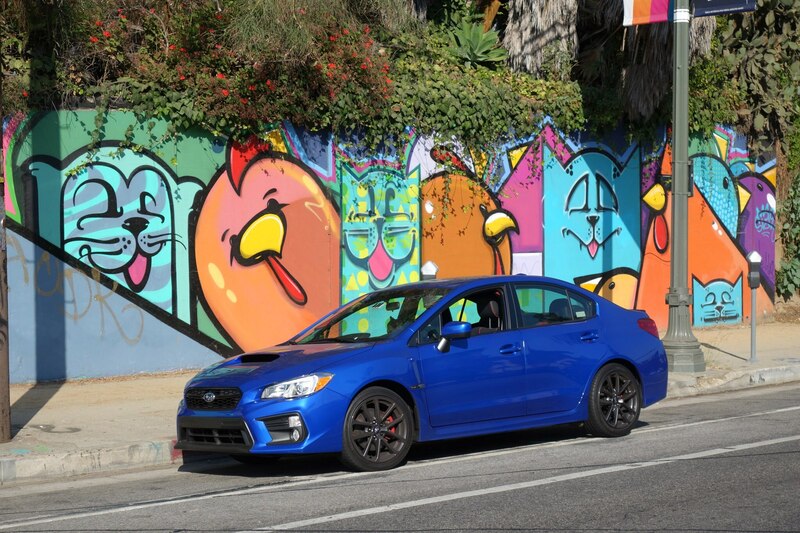 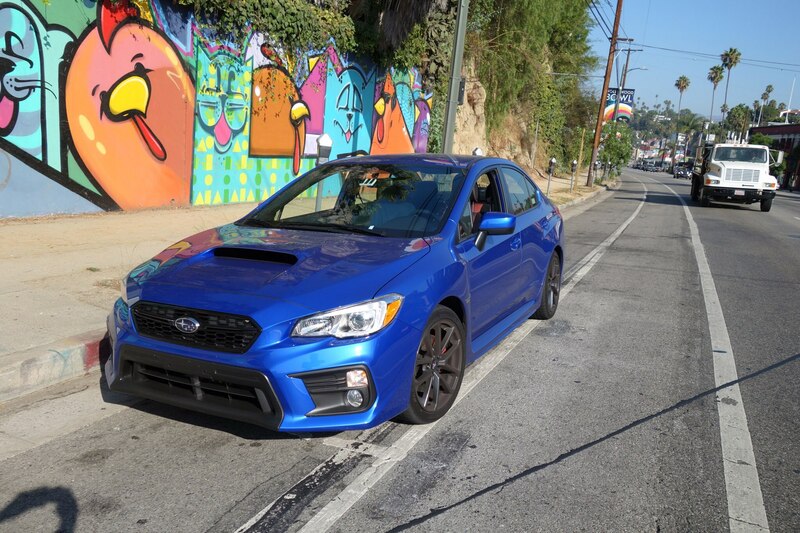 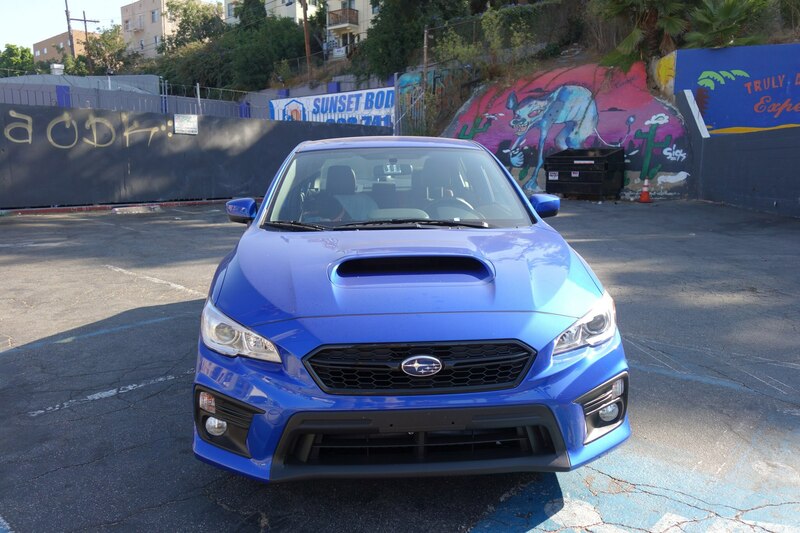 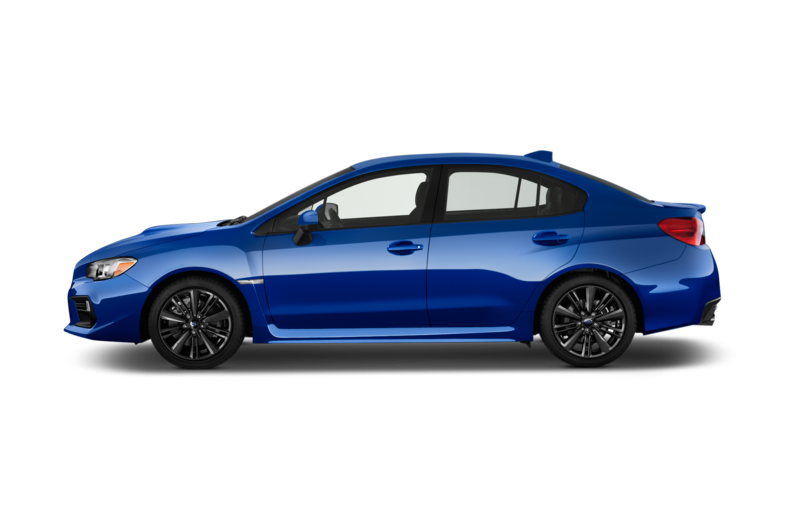 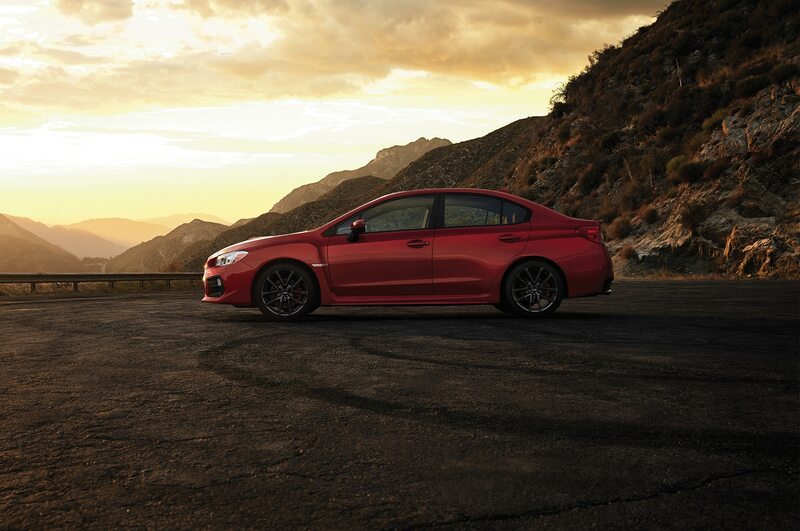 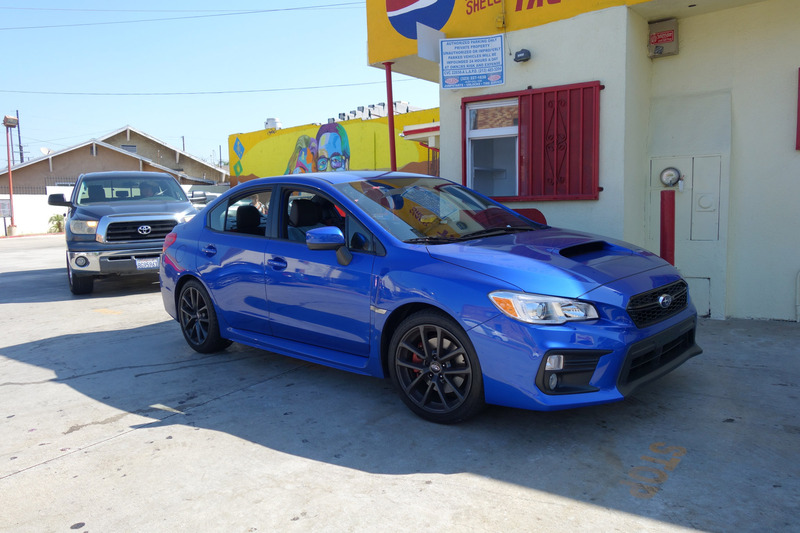 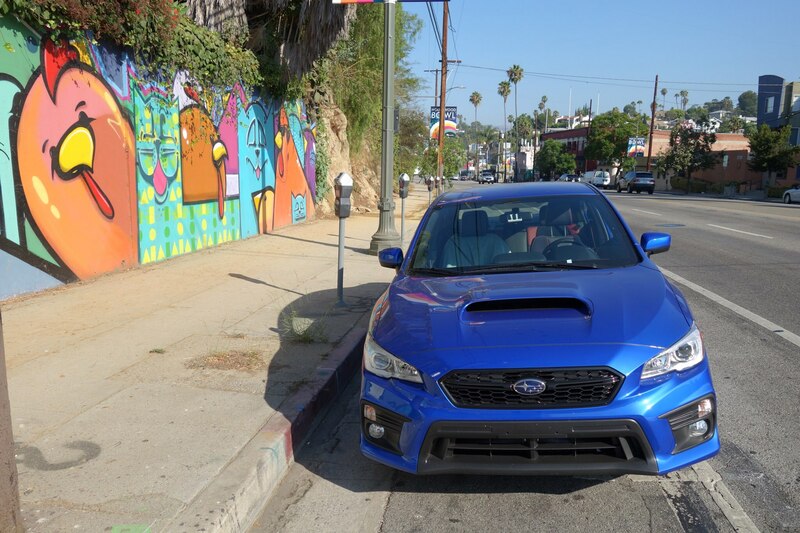 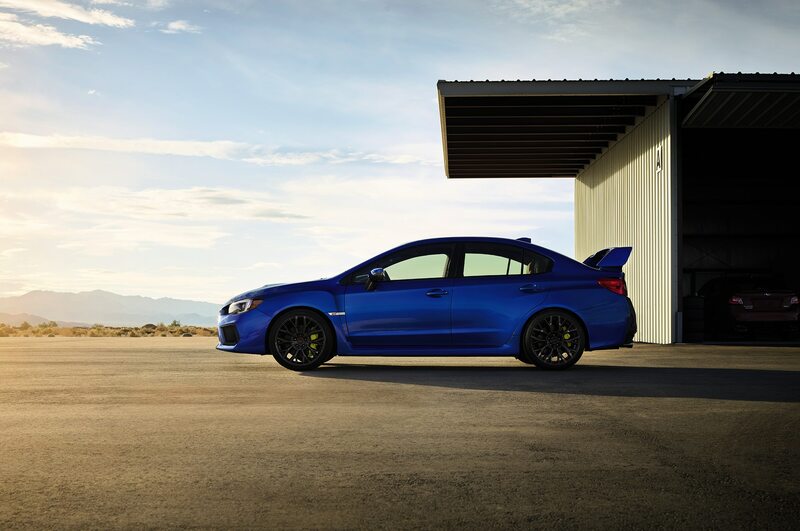 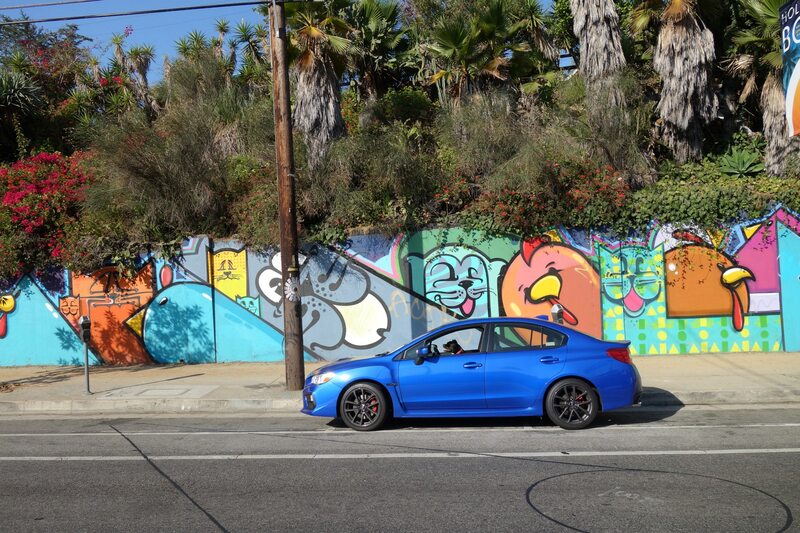 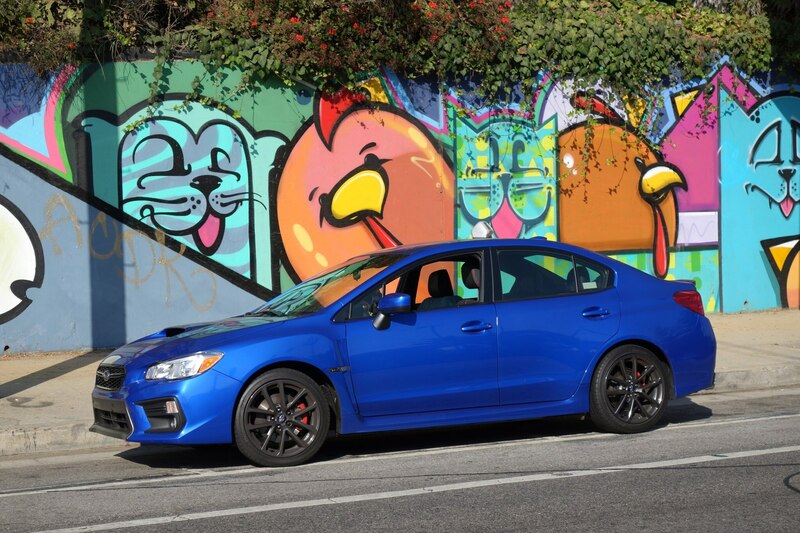 LOS ANGELES, California — Fast, fun, and ferocious—good things come in small packages and the 2018 Subaru WRX Premium delivers like a champ. 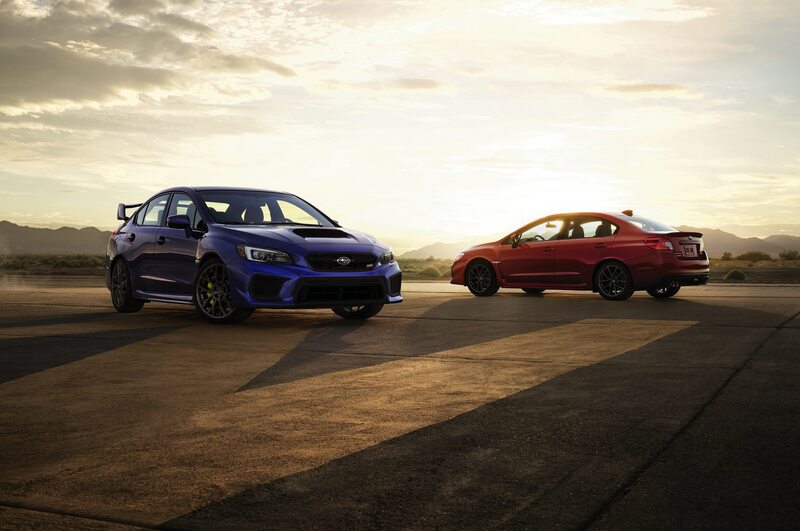 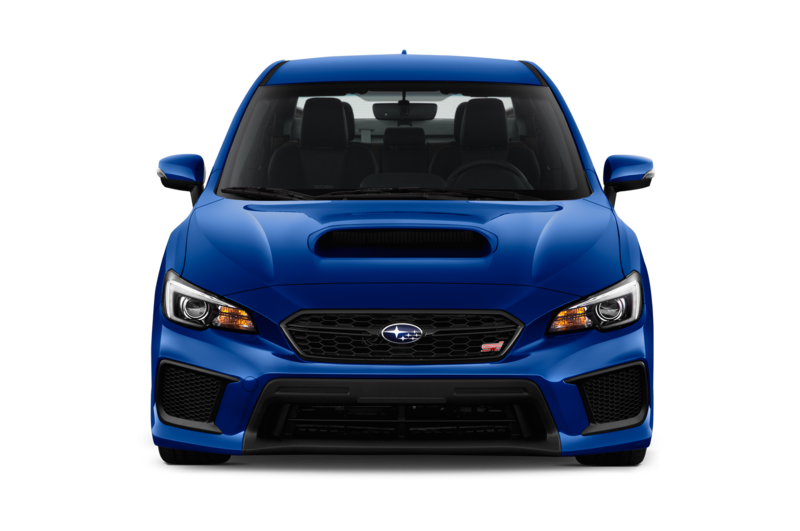 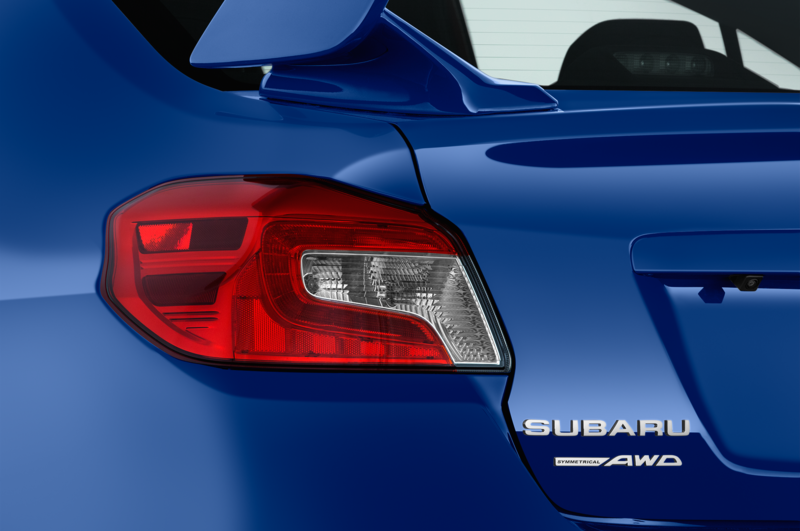 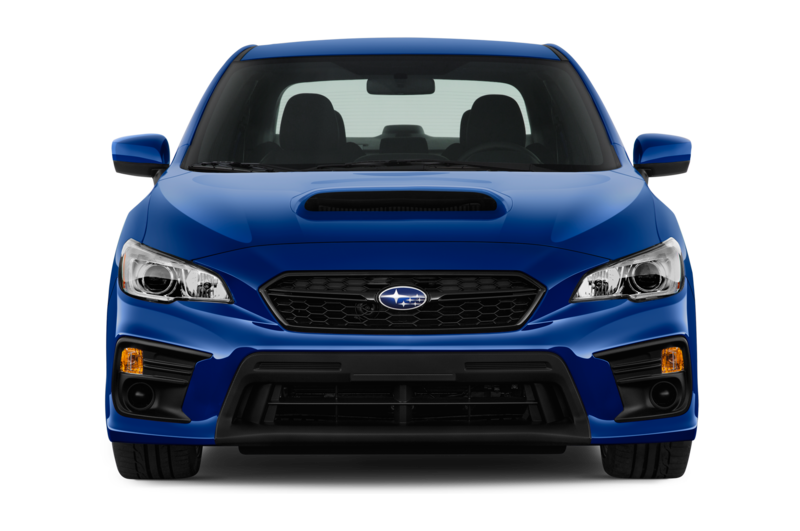 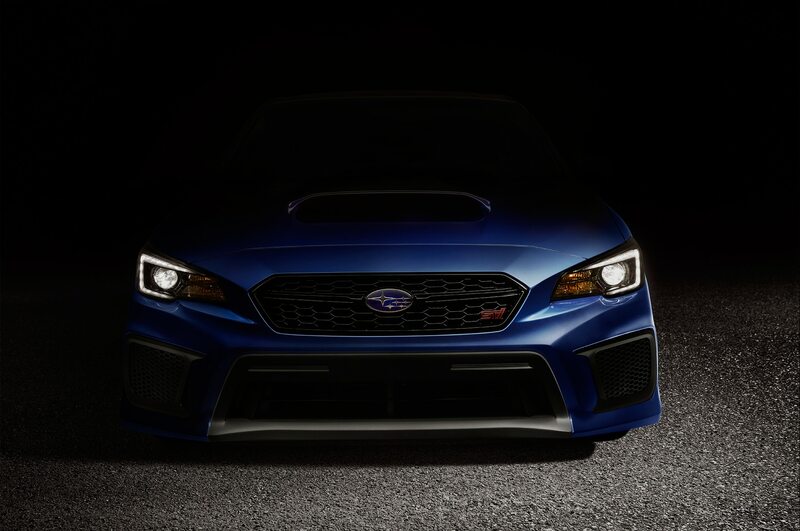 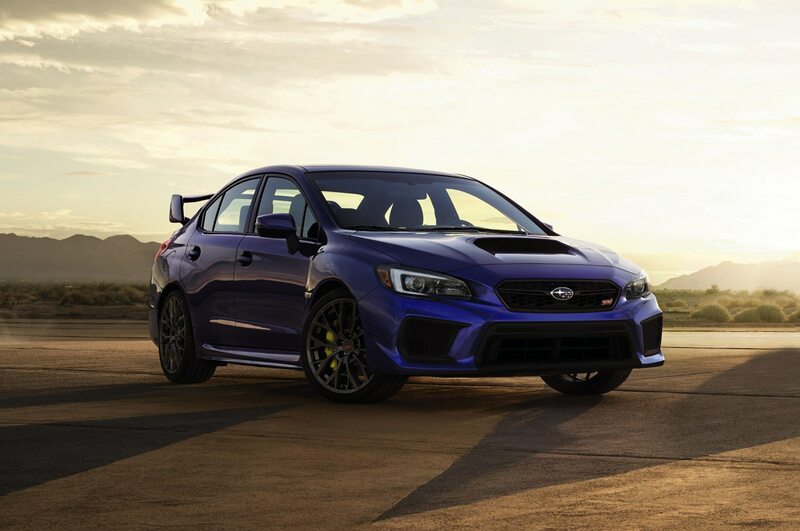 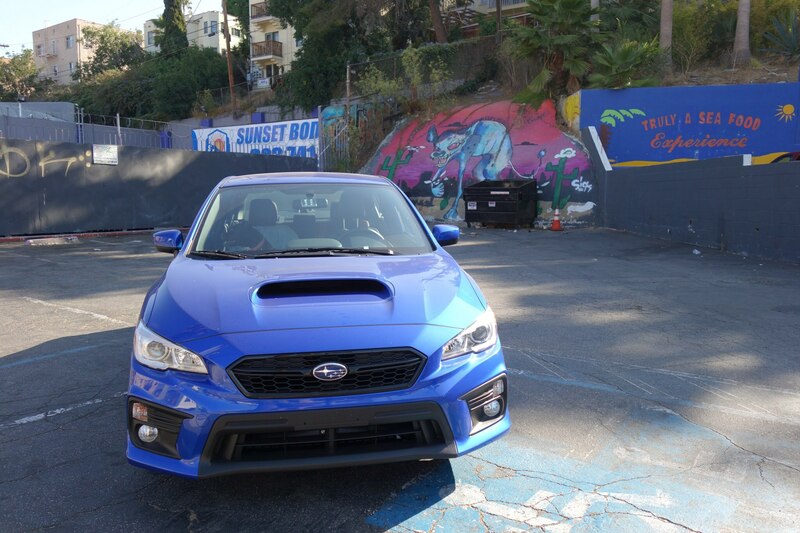 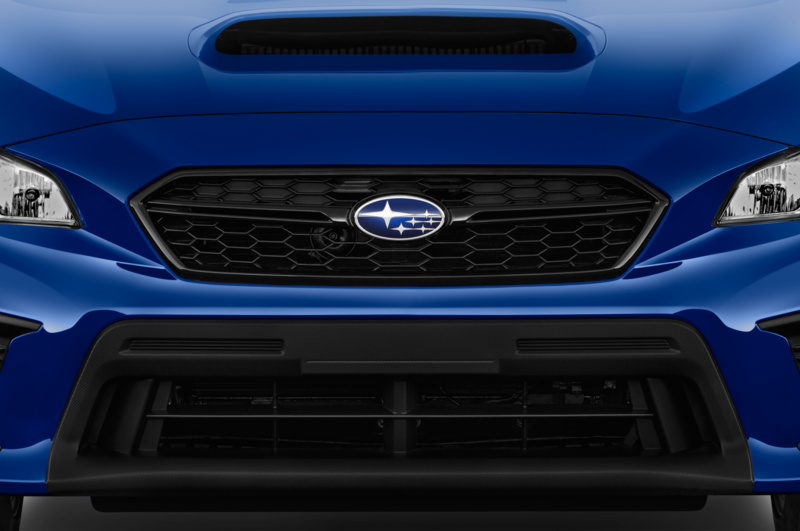 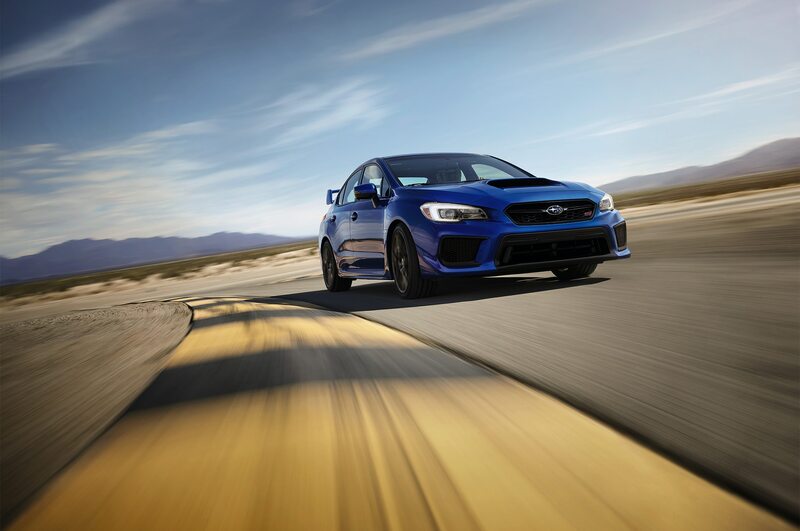 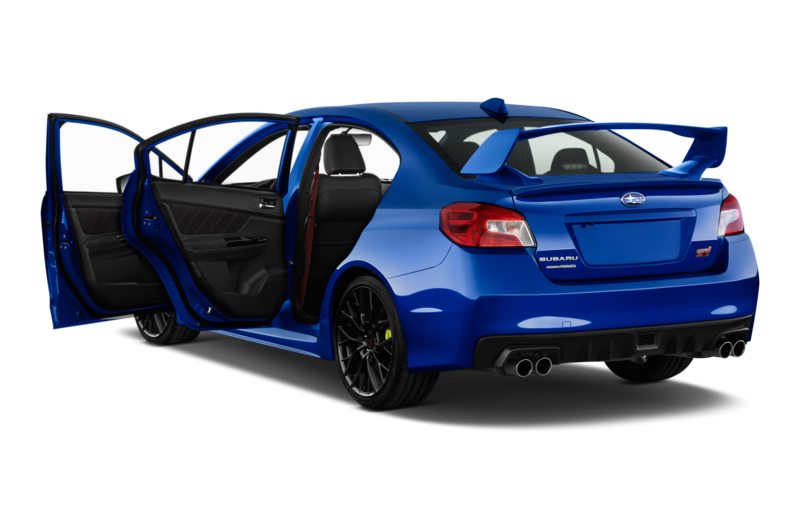 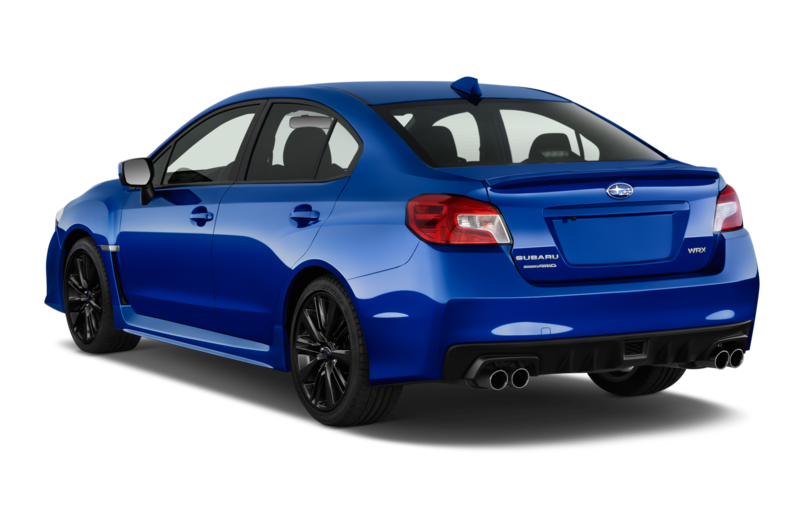 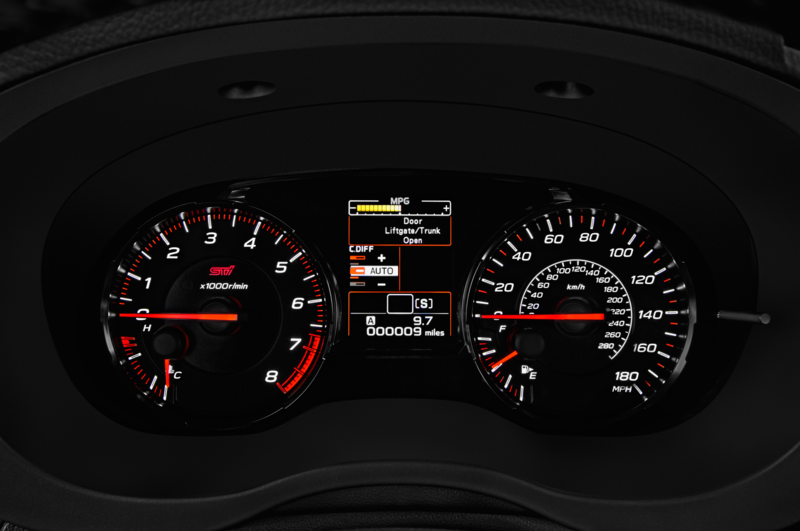 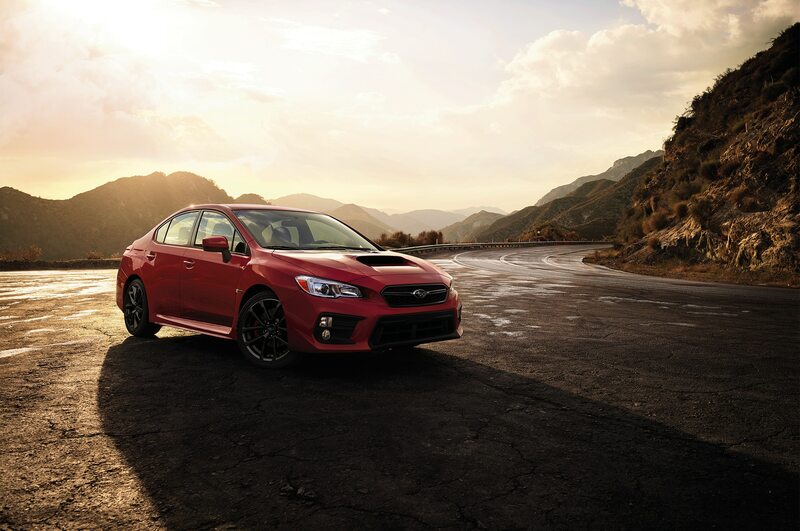 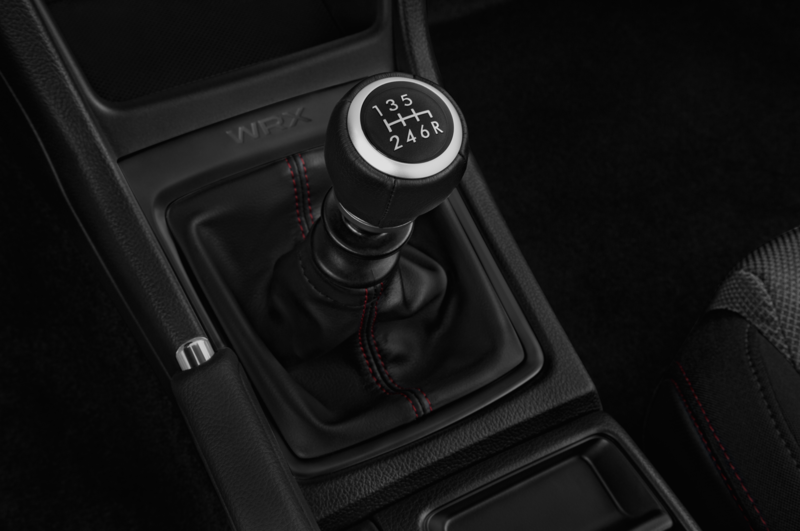 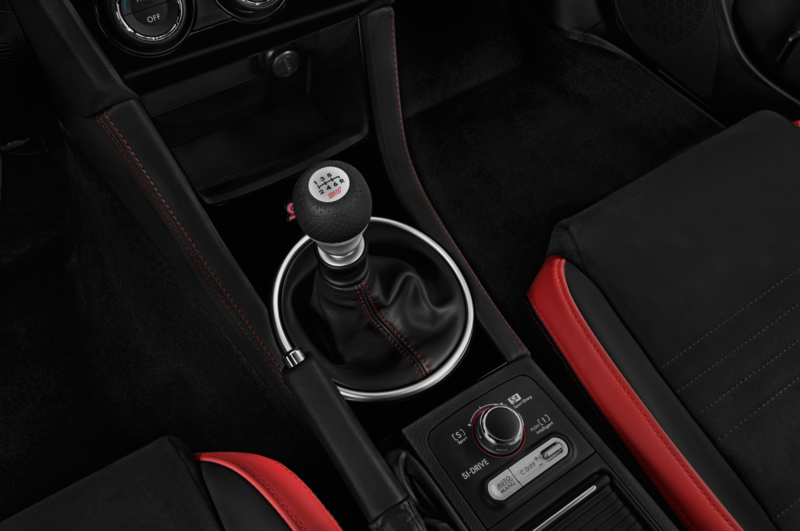 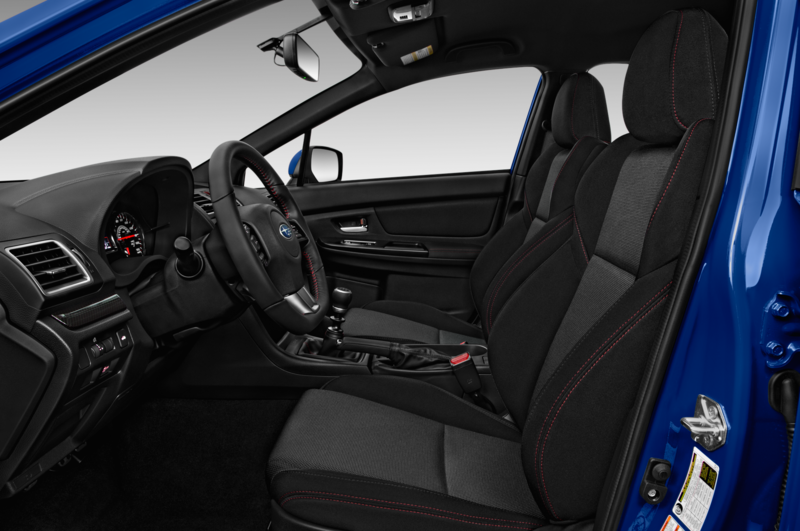 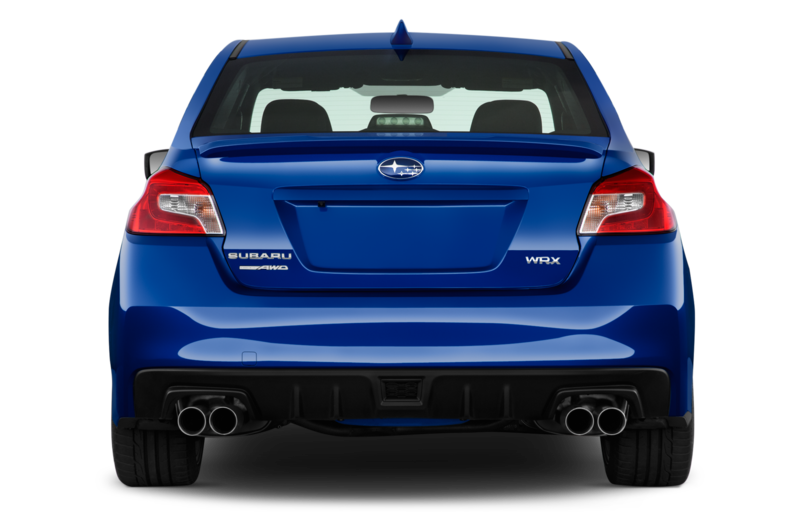 Since its U.S. debut in 2002, the WRX, now in its fifth generation, has remained a popular choice for urban and suburban performance enthusiasts. 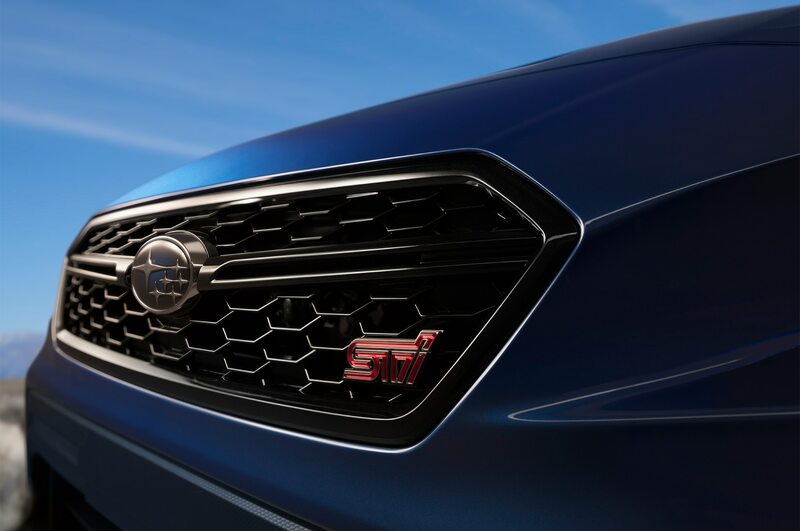 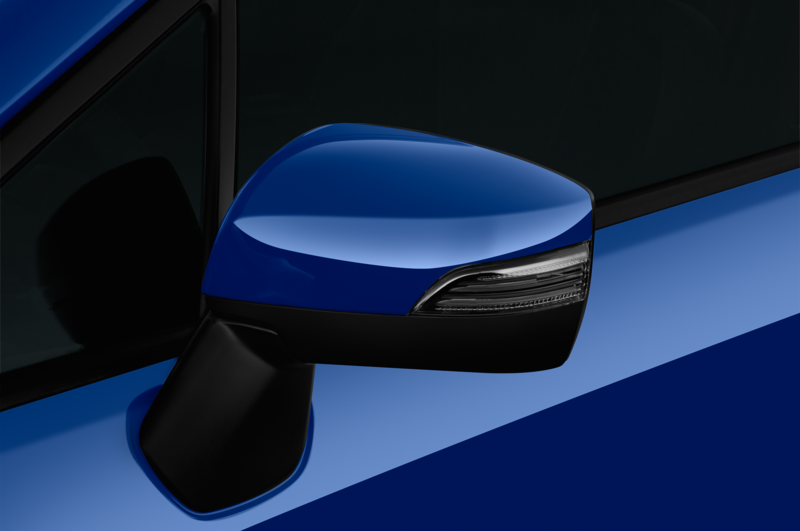 Aside from the serious hood scoop, we like the relatively sleeper sedan looks, its subtly revived front styling, and the redesigned mesh grille on this year’s model. 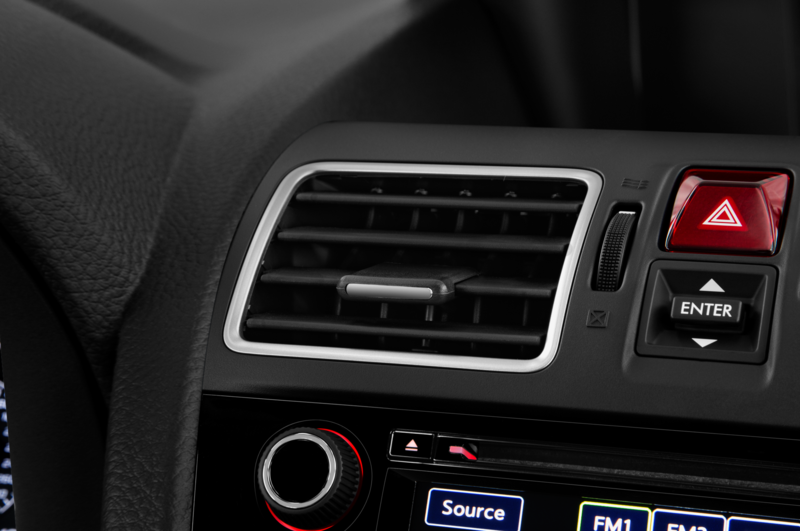 The use of a key instead of a fob to fire up the little beast is a nice old school bonus. 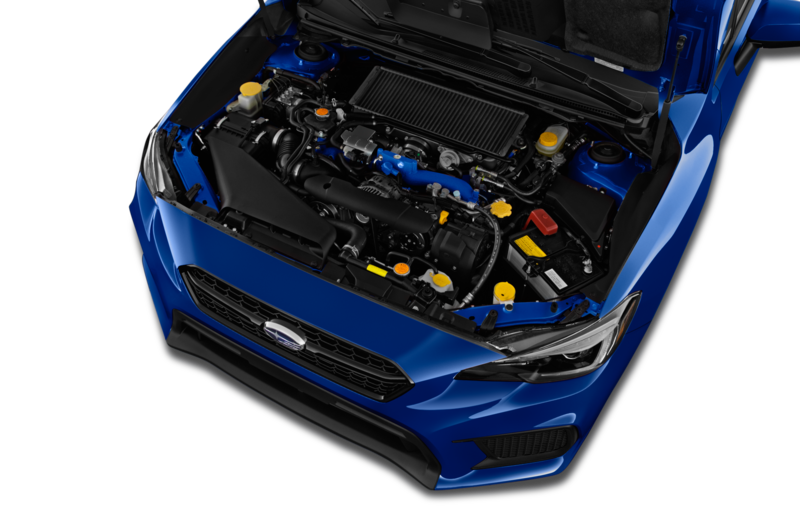 Under the hood, the WRX packs a 2.0-liter turbocharged four-cylinder boxer engine the delivers a potent 268 hp and 258 lb-ft of torque to all-four wheels. 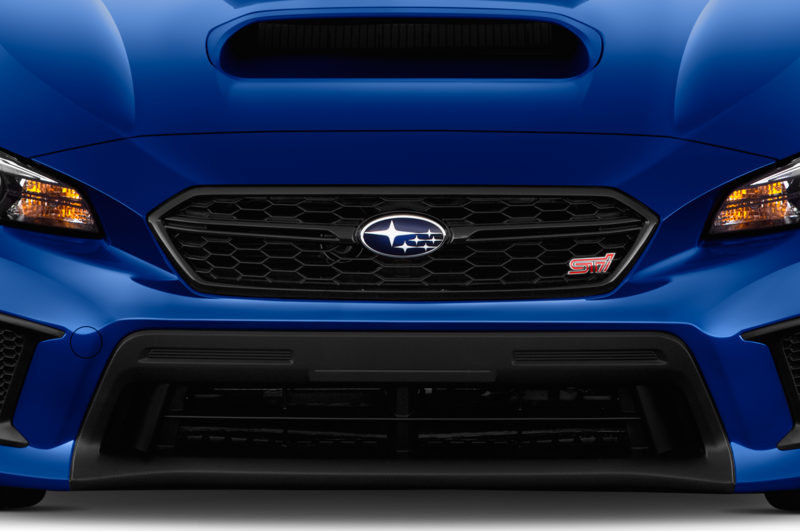 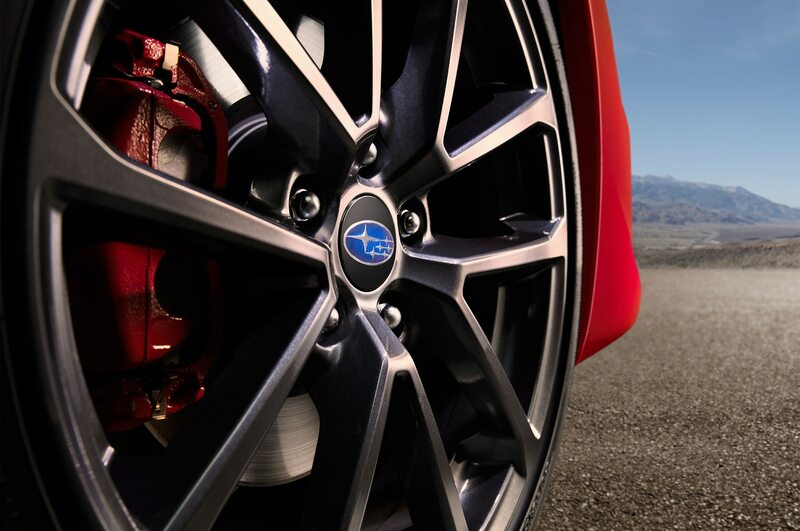 Subaru’s beefy engine is mated to a fully synchronized six-speed manual transmission with carbon first- and second-gear synchros. 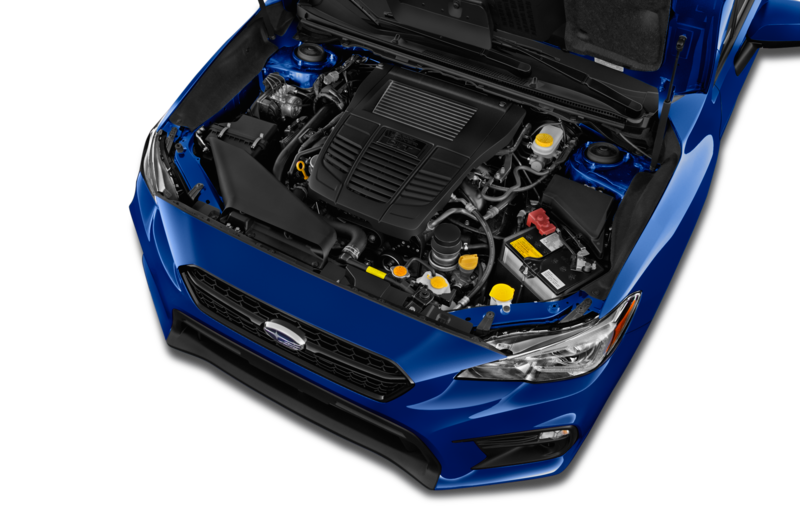 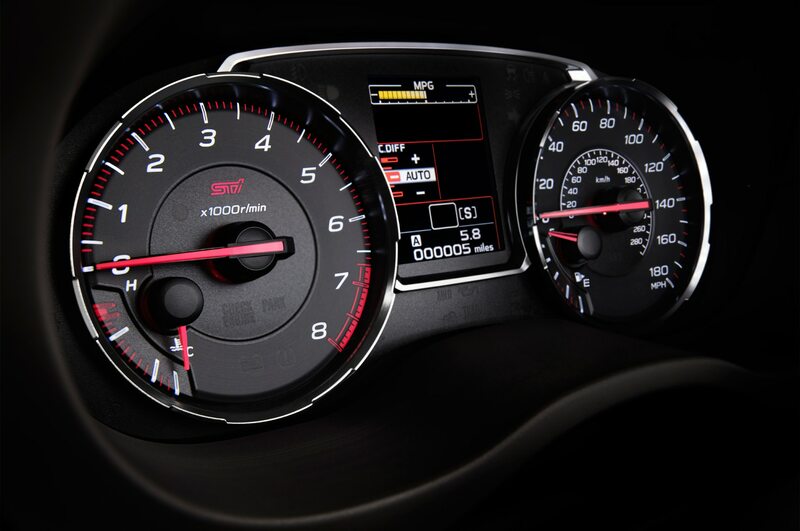 The Direct Injection Turbocharged (DIT) ride serves up consistent boosts of power with minimal turbo lag. 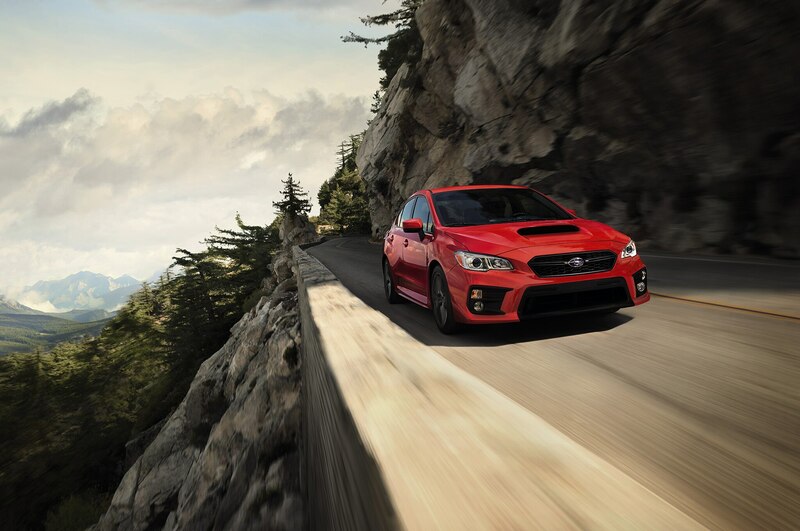 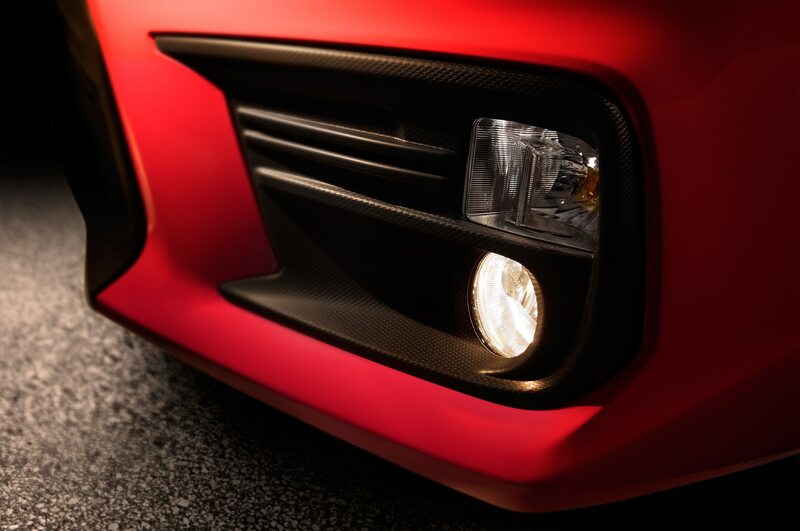 It’s a serious hoot to drive and makes every moment behind the wheel an adventure. 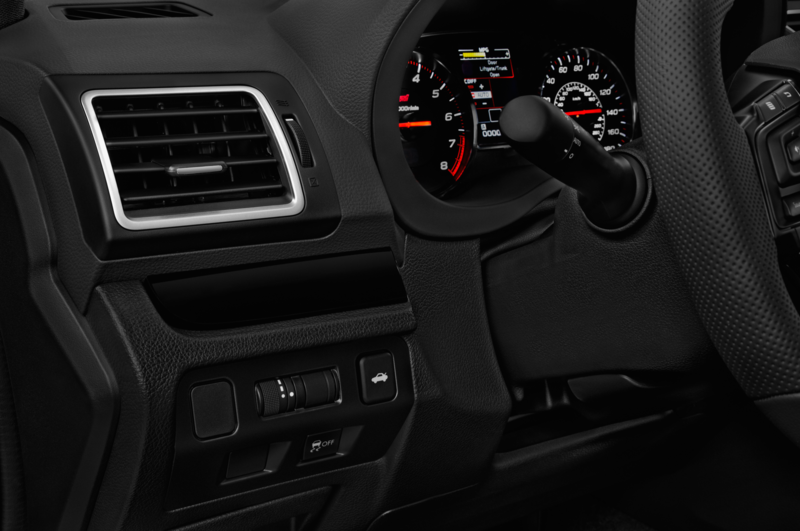 Rex’s rack and pinion steering with electric power assist is tight, engaging enough, and definitely preferable over fully electric systems. 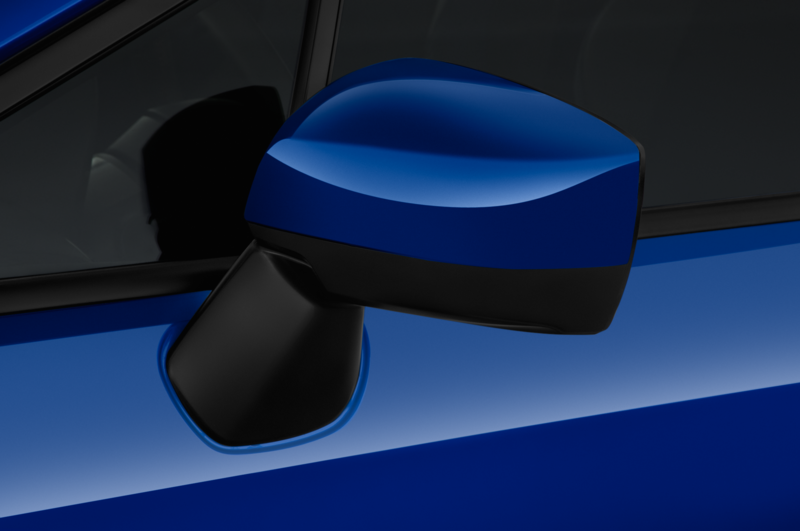 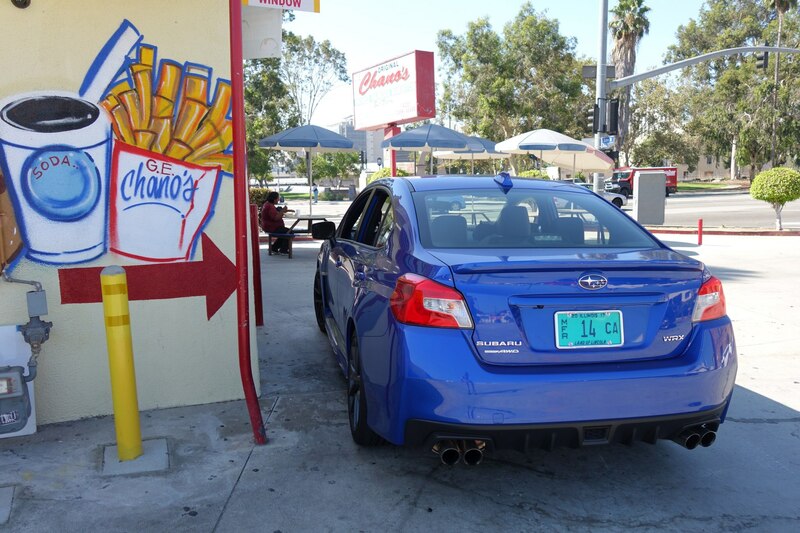 Our Pearl Blue tester is a blast to drive around town, carving canyon roads, or simply racing to the 7-11 for a Big Gulp. 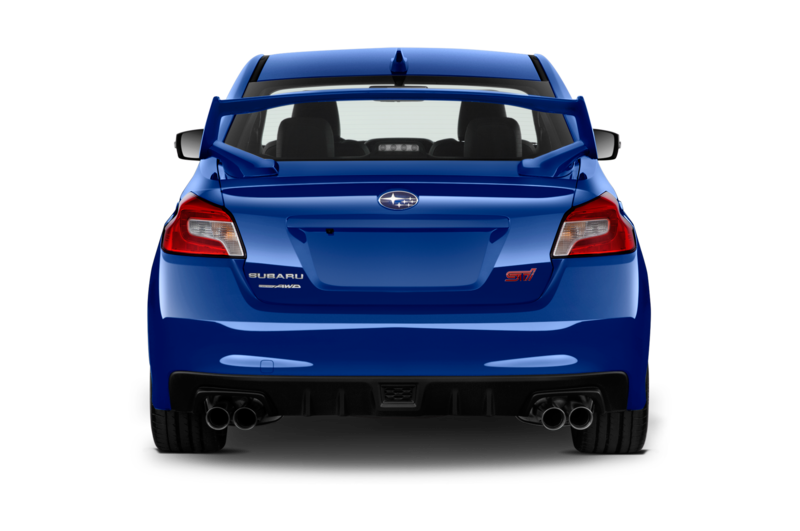 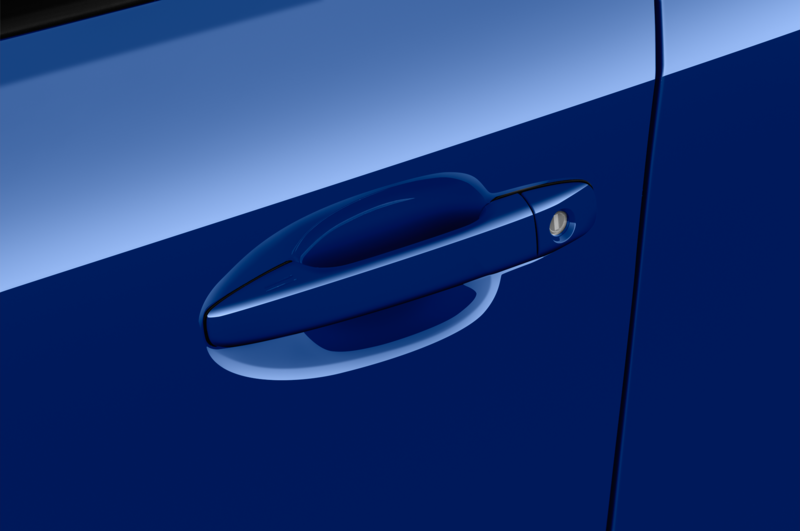 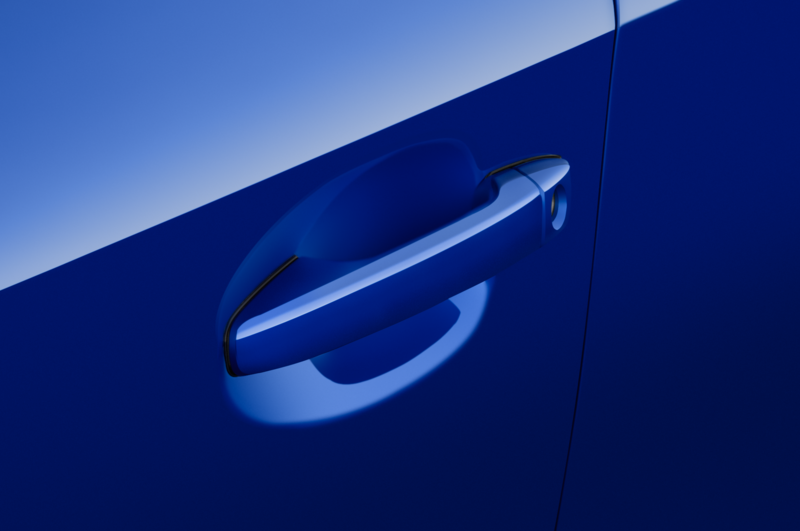 Standard features include AWD, a thankfully low-profile trunk spoiler, and a sport tuned suspension. 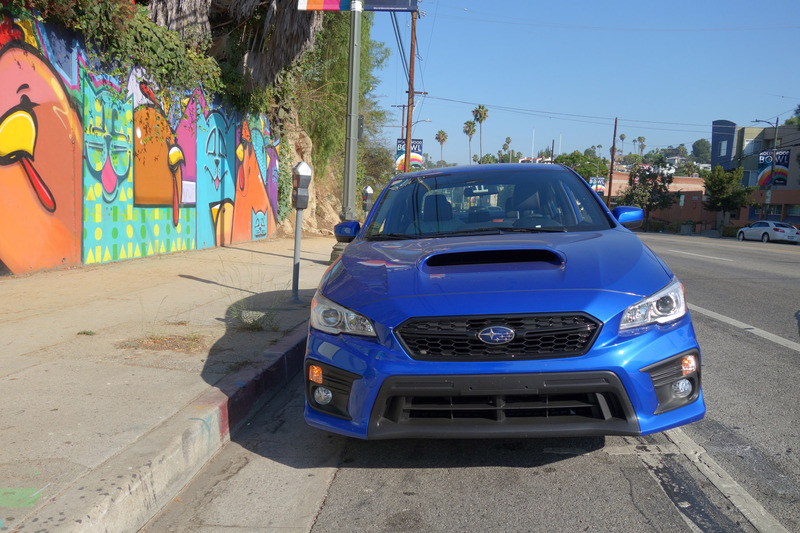 Subaru optimized the suspension for better handling and ride comfort, but it still feels a bit stiff and a little rough on uneven surfaces like the downtown freeways of L.A. 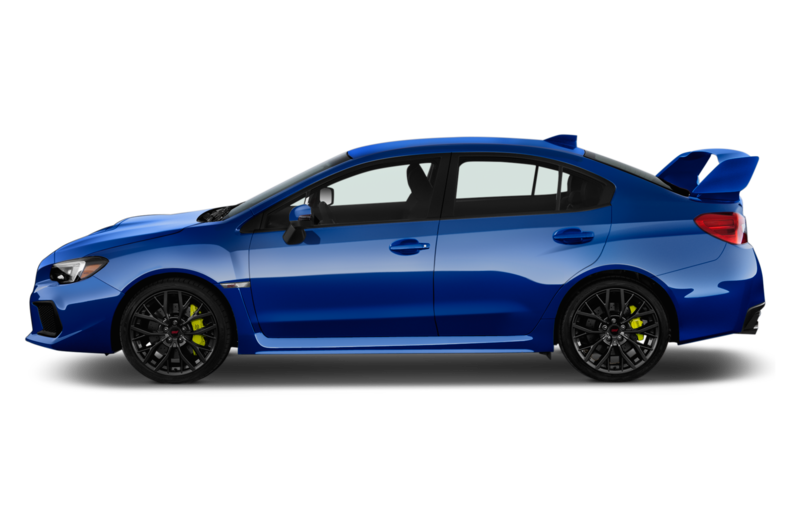 Compared to last year’s model, it would be difficult to tell them apart for the untrained eye. 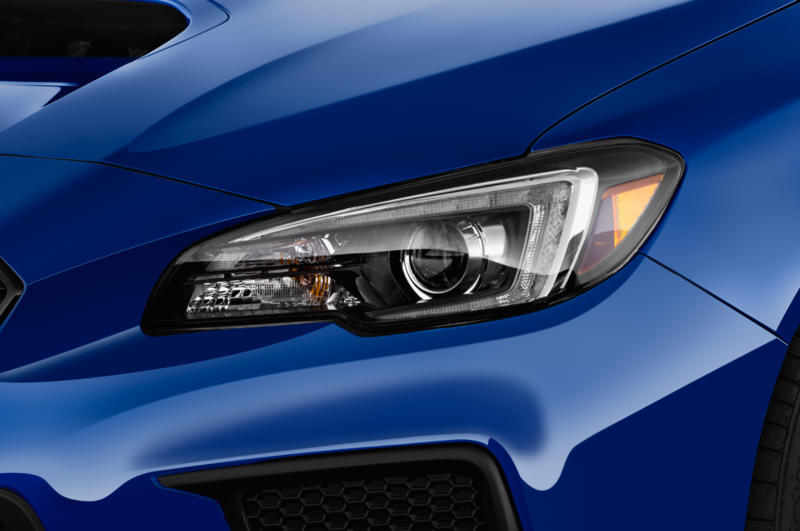 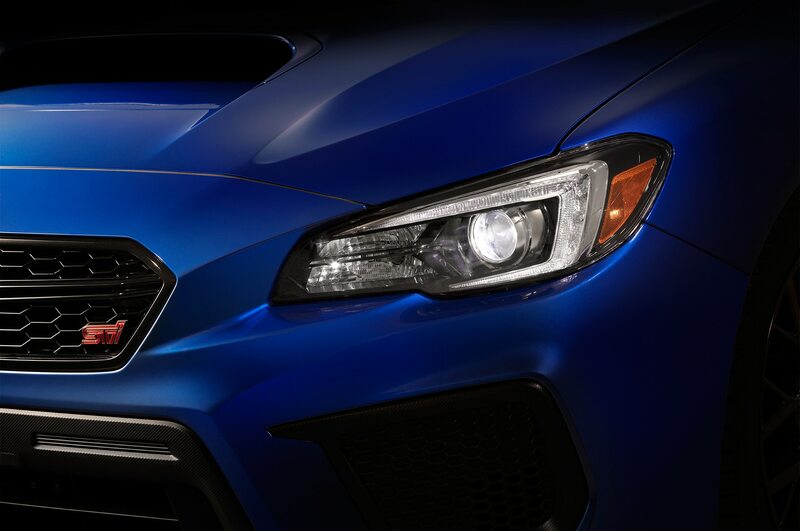 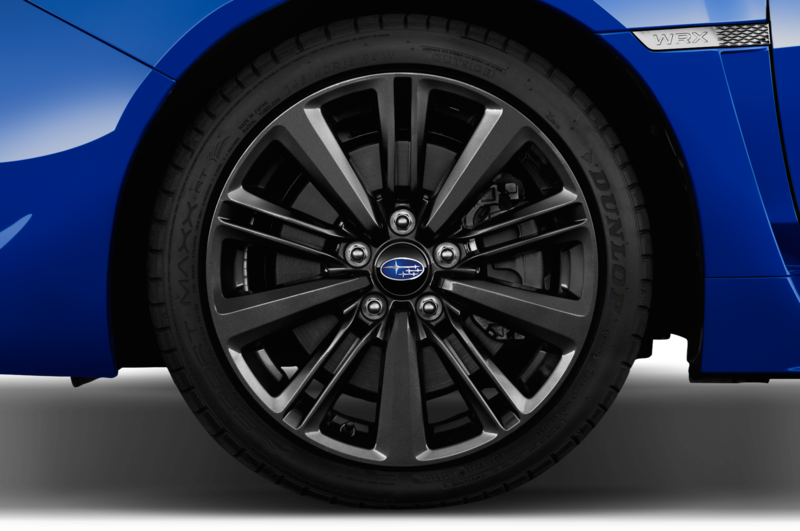 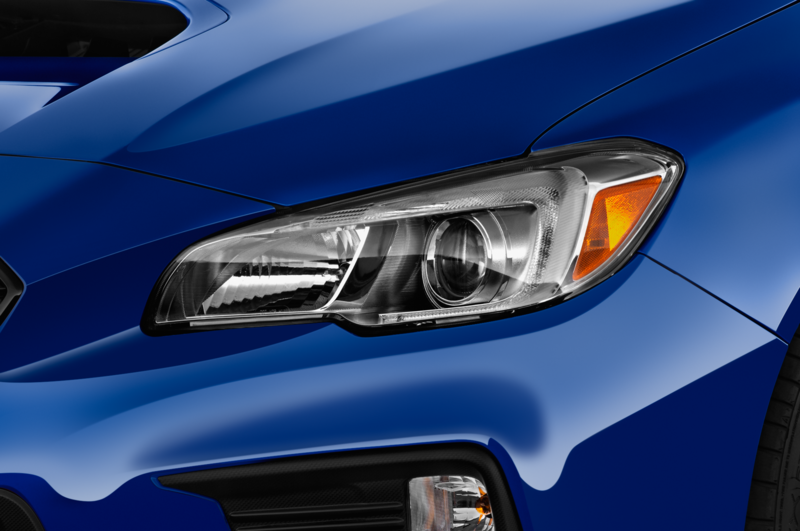 For 2018, the WRX Premium rides on dark gray 18-inch aluminum-alloy wheels with summer performance tires and gets halogen fog lights. 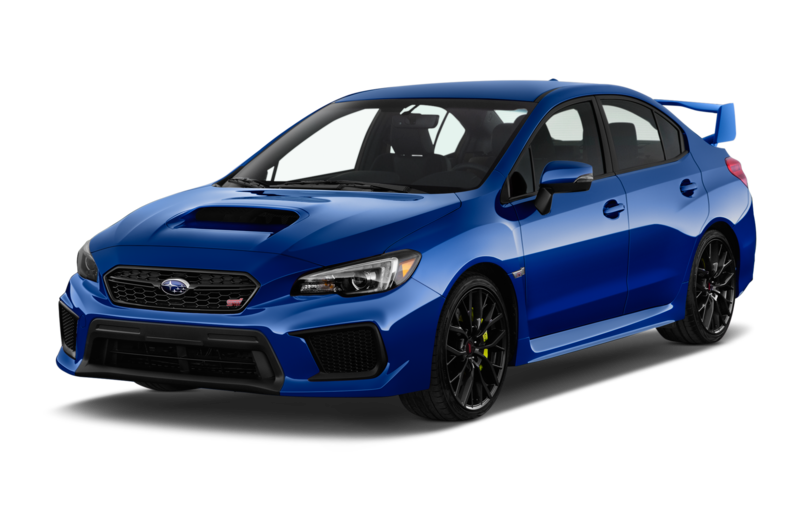 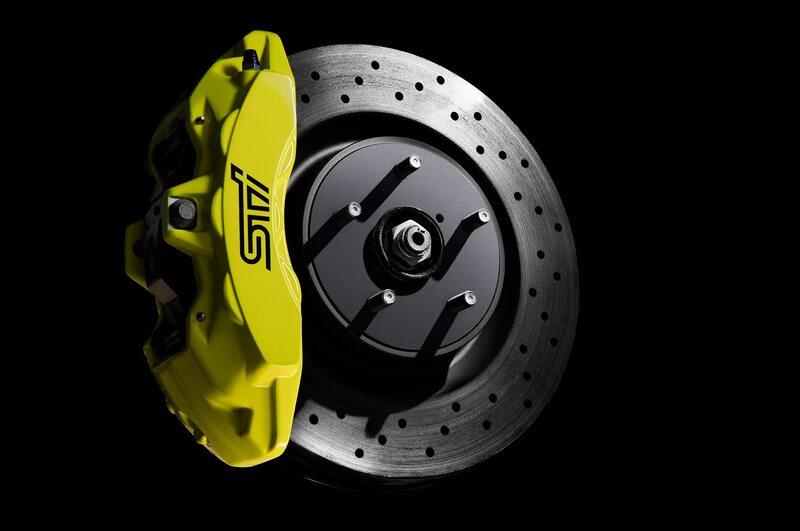 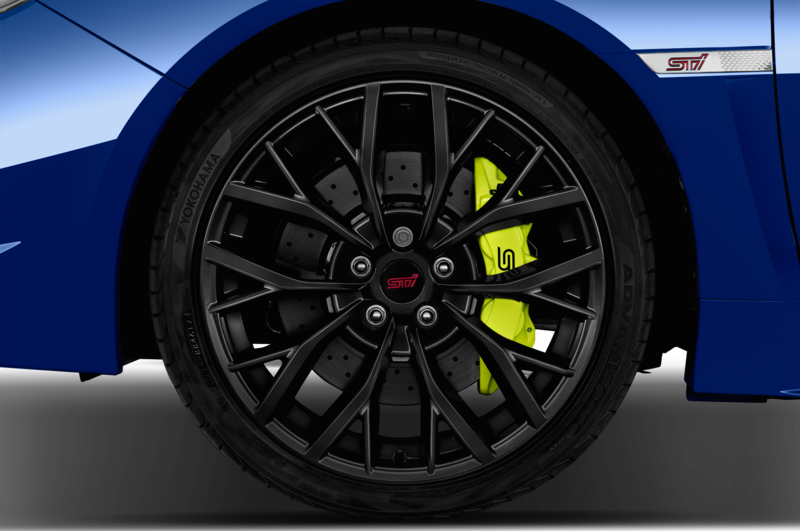 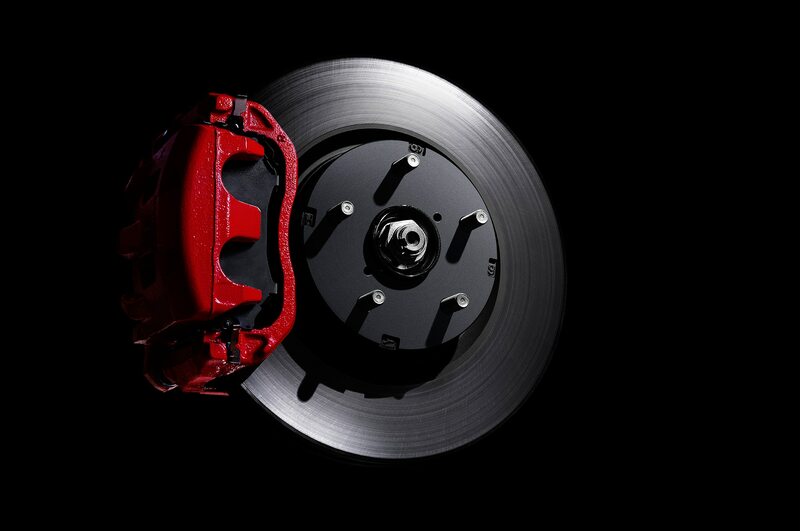 Our tester was also equipped with the optional Performance Package that adds $2,050 to the base price of $29,295 and includes Jurid performance brake pads, and red finish for the front and rear brake calipers. 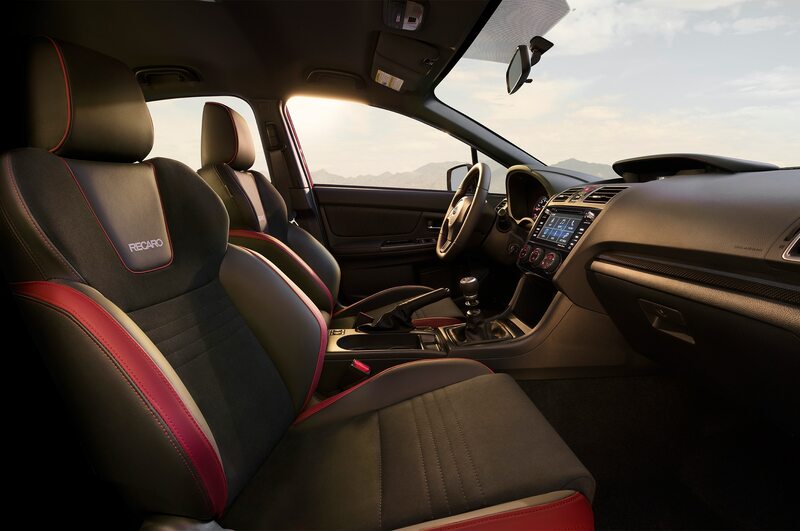 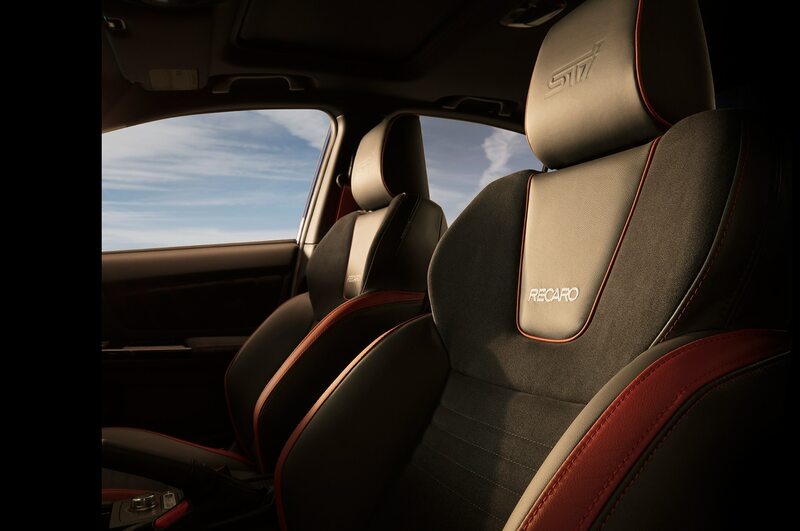 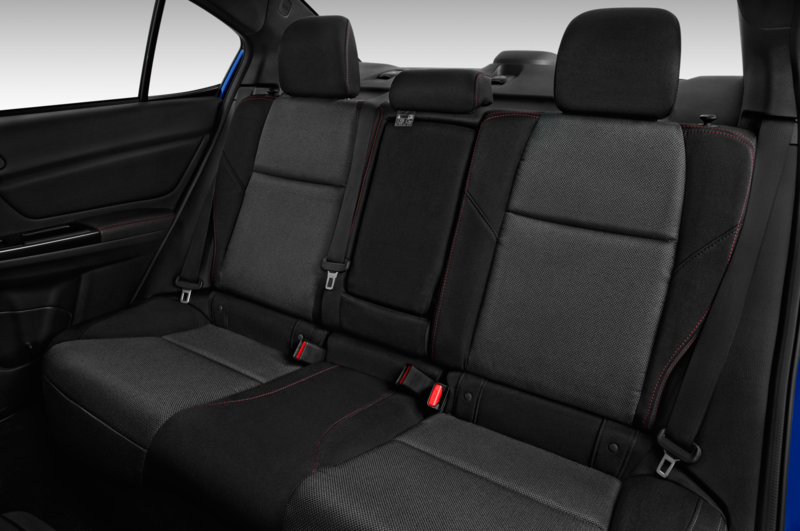 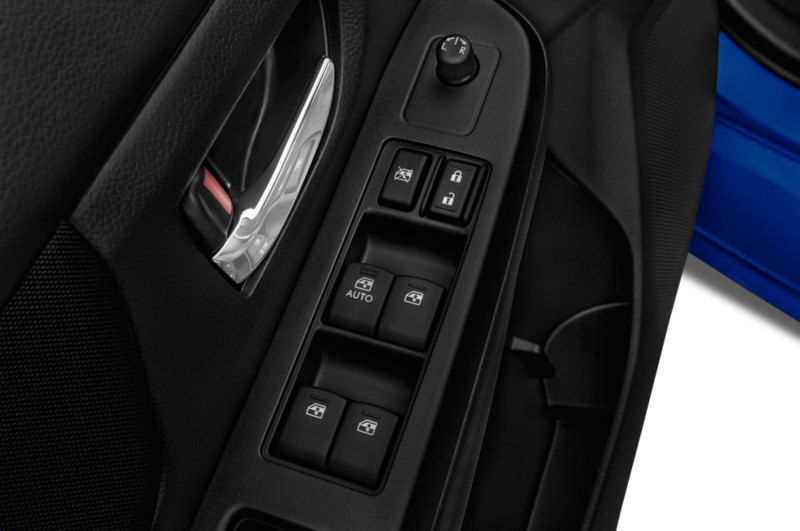 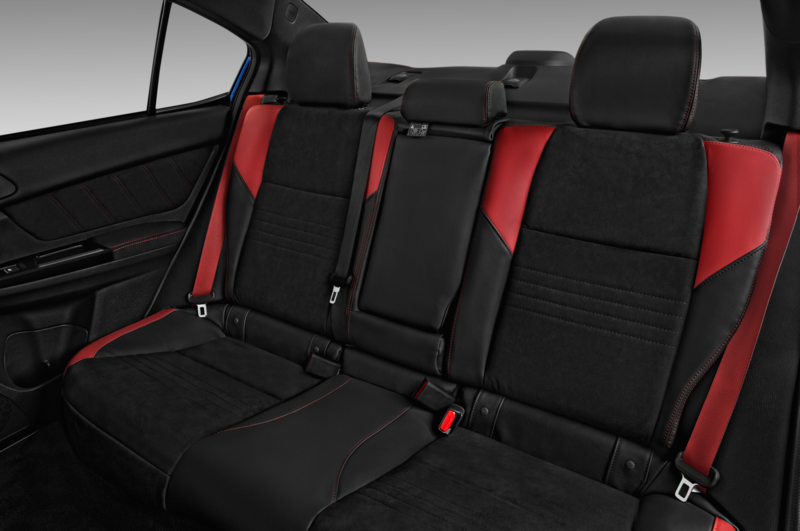 Inside, the four-door, five-passenger sedan received optional Recaro performance front seats with an eight-way-adjustable power driver’s seat. 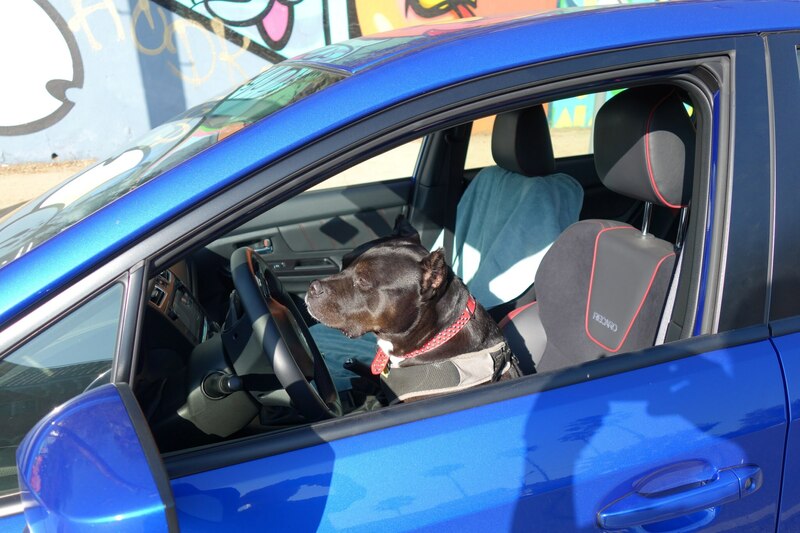 The Recaros are fine, but a bit hard and not the most comfortable for everyday driving. 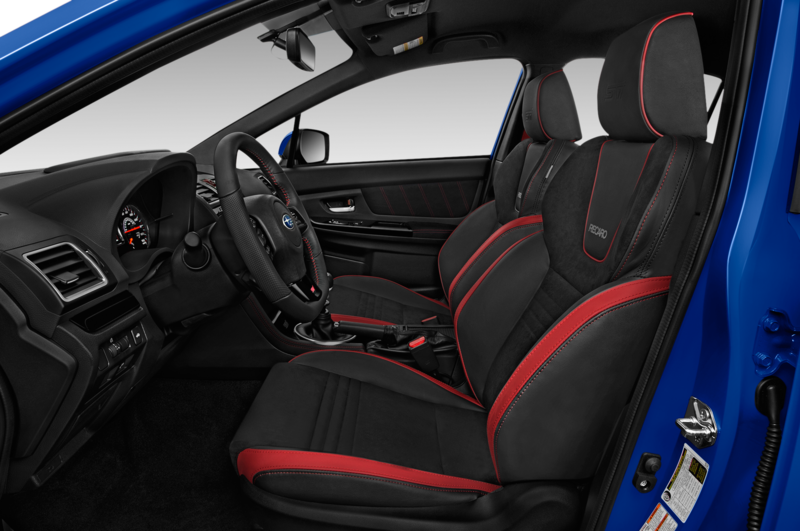 If you stick with the standard Carbon Black checkered cloth seats, you save a few bucks that you can put towards a sliding moonroof. 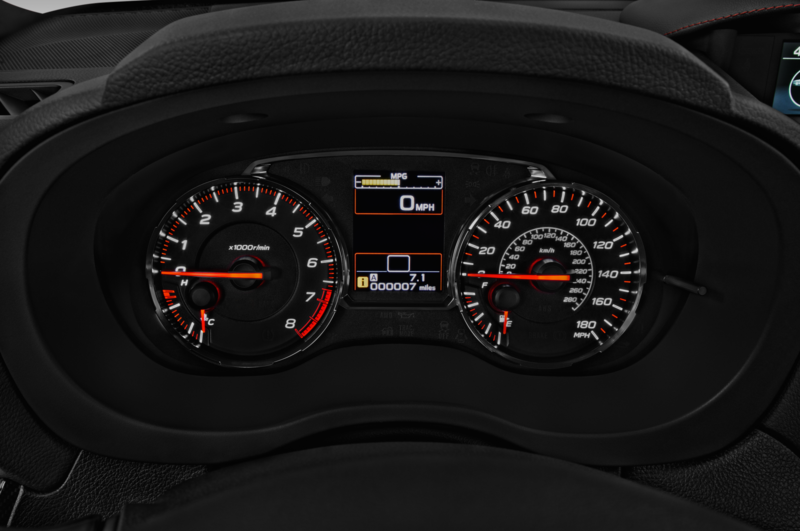 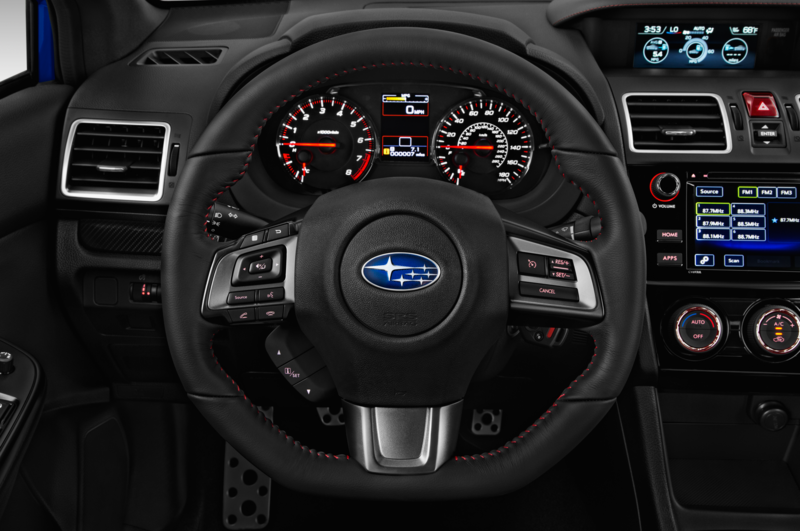 Standard interior goodies include a leather-wrapped flat-bottom steering wheel, power windows, rear camera, instrument cluster with color LCD display, and a 5.9-inch multi-function display. 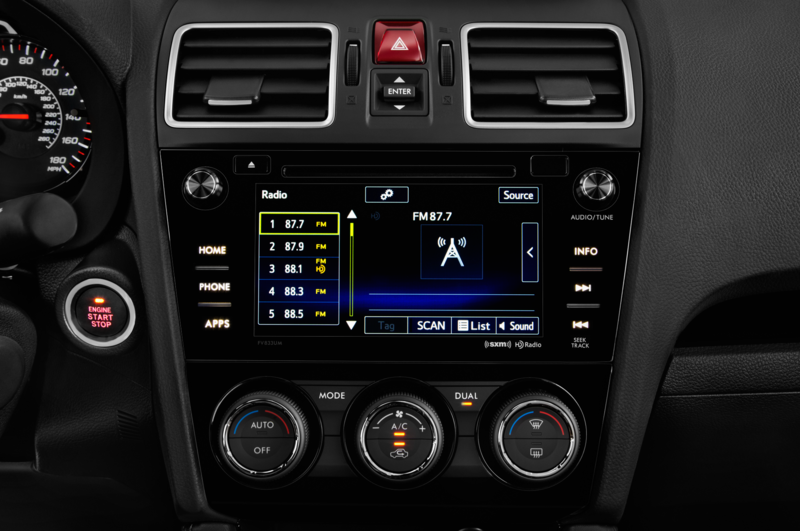 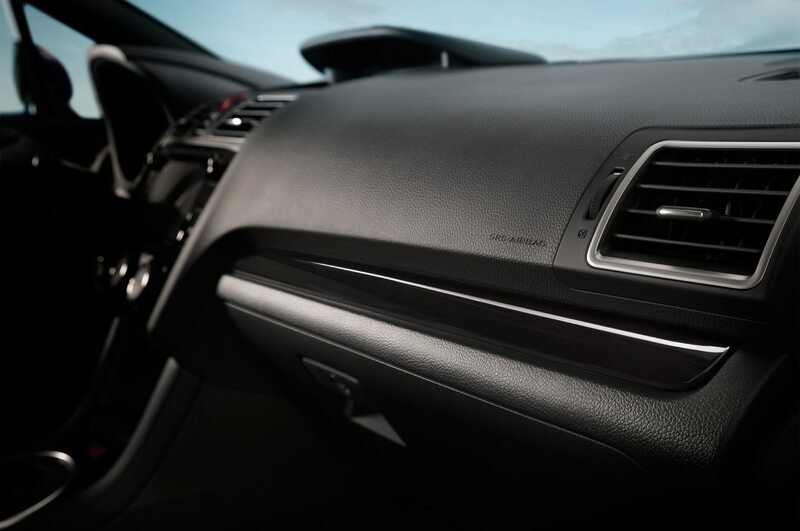 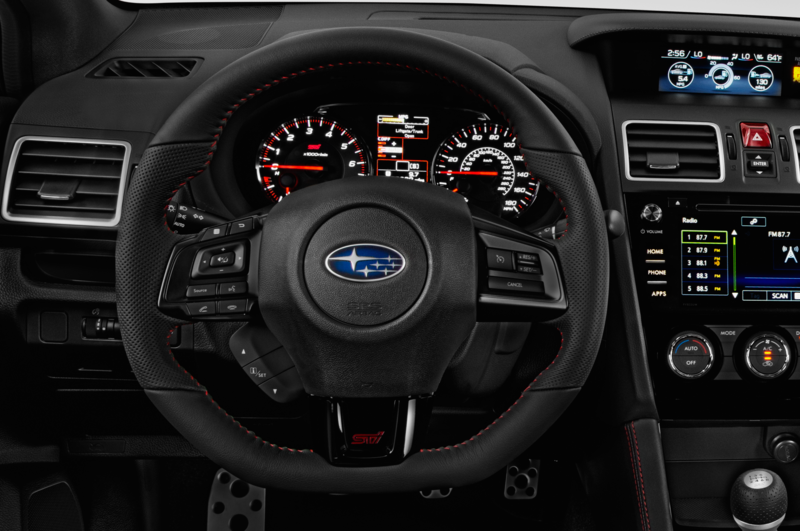 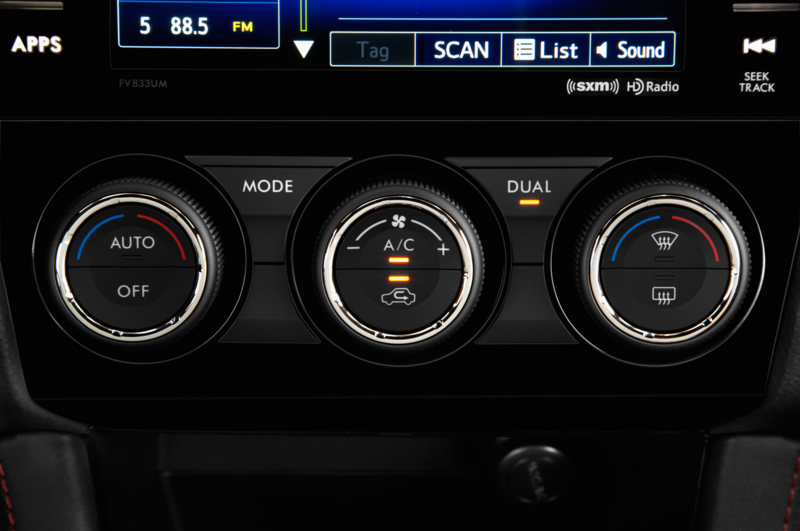 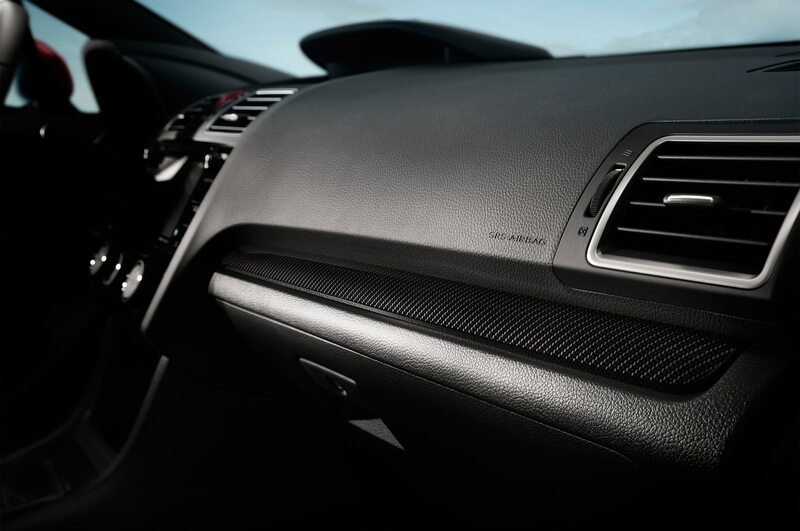 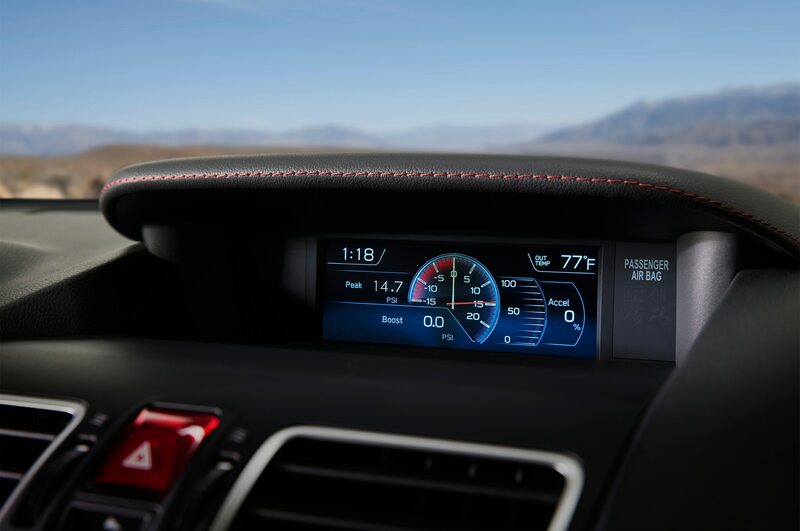 Our tester came with the optional Premium package adds Subaru Starlink 7.0 multimedia plus, voice active controls, Bluetooth audio streaming, and hands-free phone and text messaging connectivity. 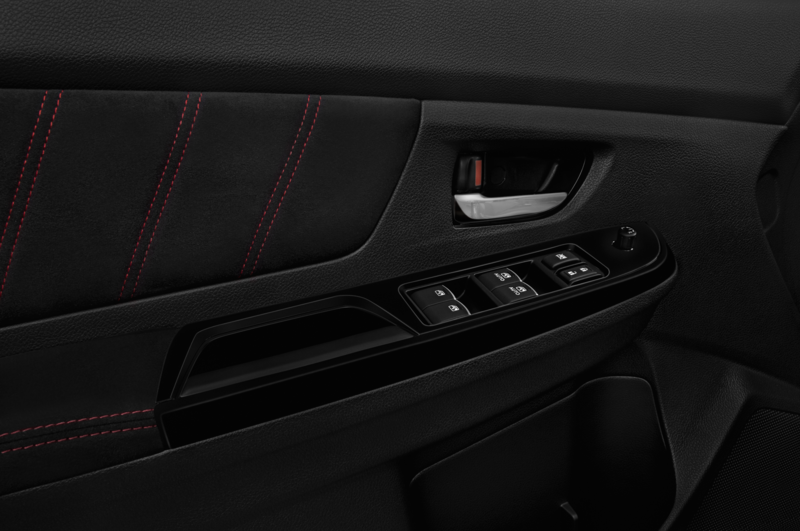 The six-speaker sound system sounds tin-like and could use an aftermarket upgrade. Also equipped was the the All-Weather package, which includes heated front seats, exterior mirrors, and a windshield wiper de-icer — great for those winter trips to the slopes. 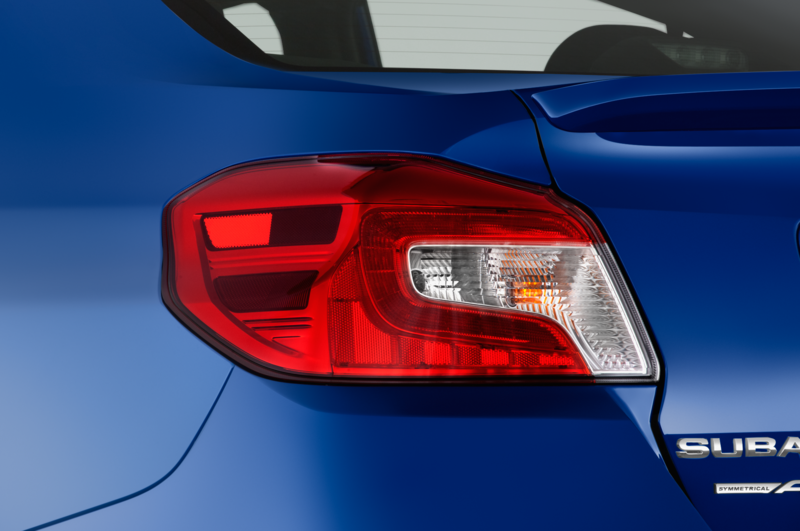 New for 2018 is EyeSight Driver Assist Technology that offers a Pre-Collision braking feature that comes in handy if you find yourself in an emergency situation. 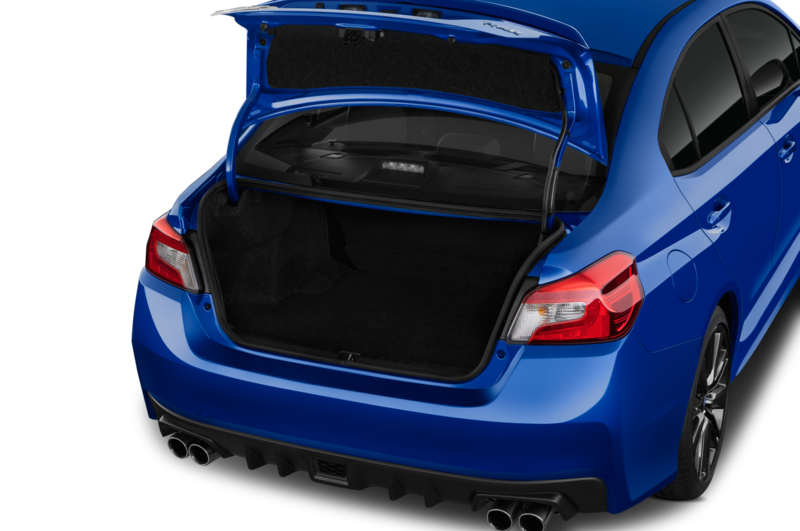 For its size, the WRX surprisingly has a decent amount of storage space in the trunk offering 12 cubic feet. 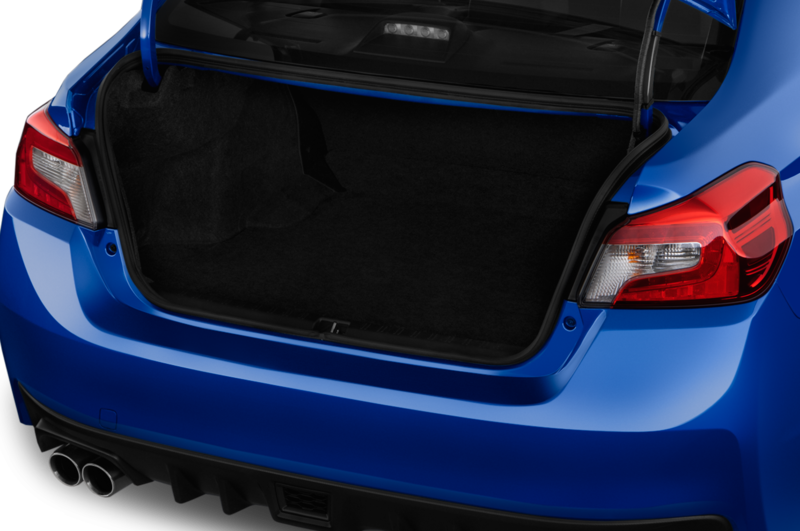 We were able to fit two card tables that fit perfectly in the back with ease and still had enough room for luggage and more without having to fold down the rear seats—an awesome bonus. 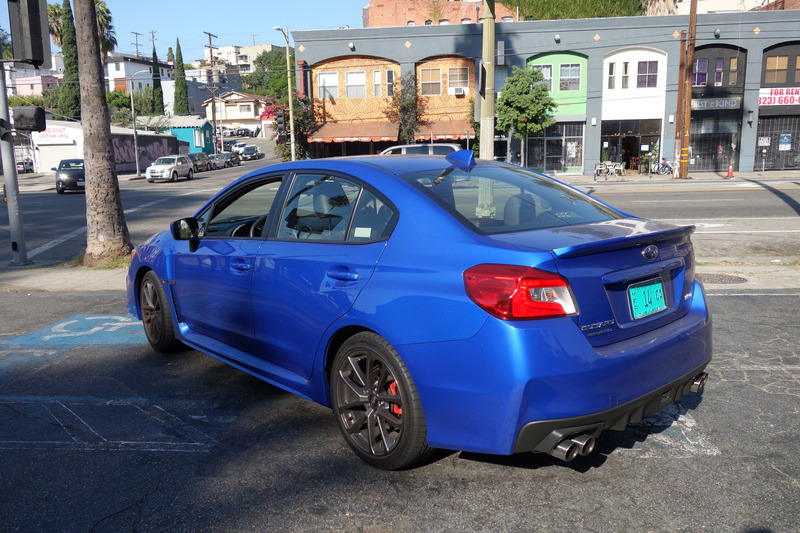 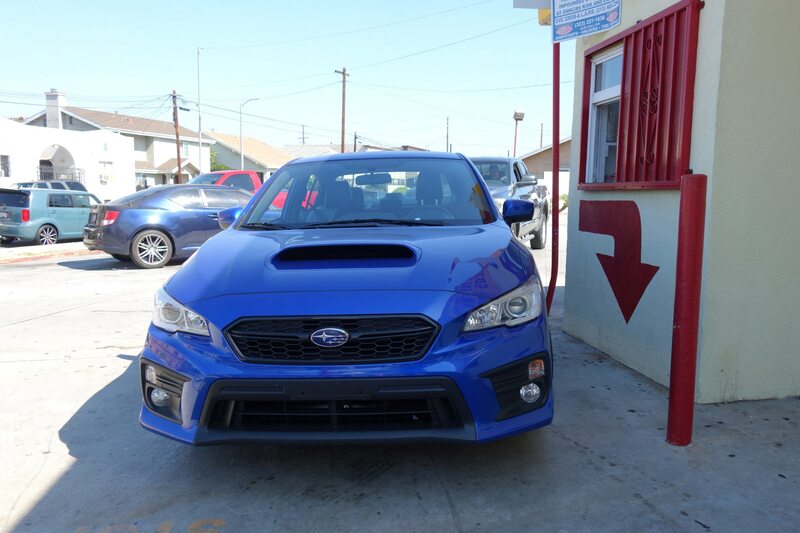 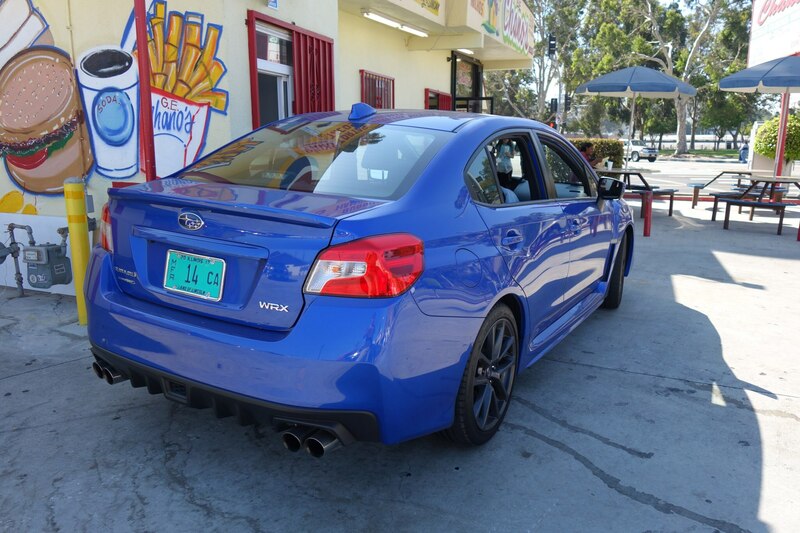 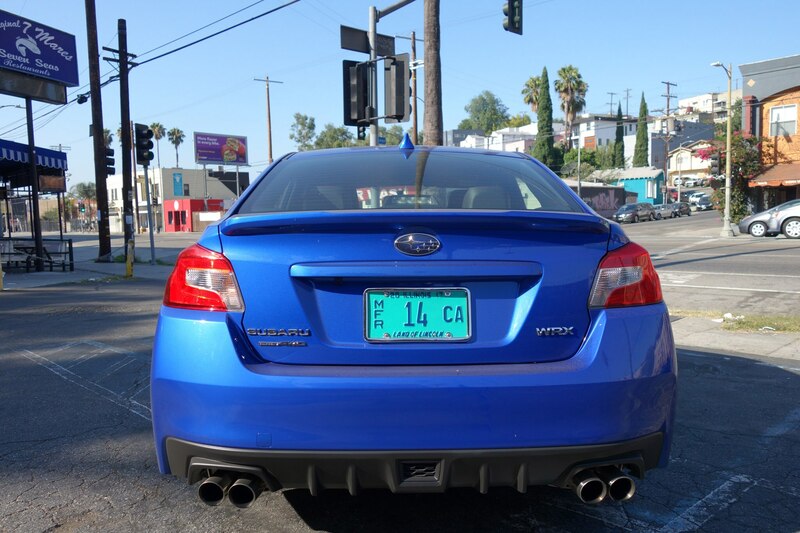 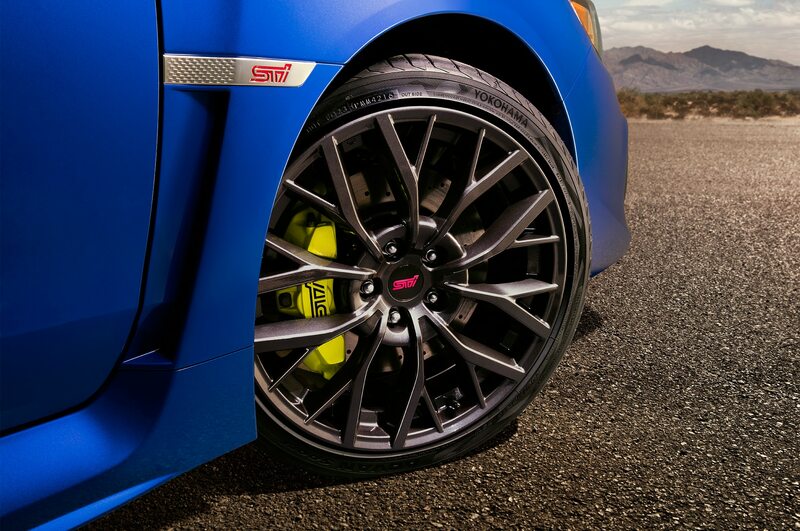 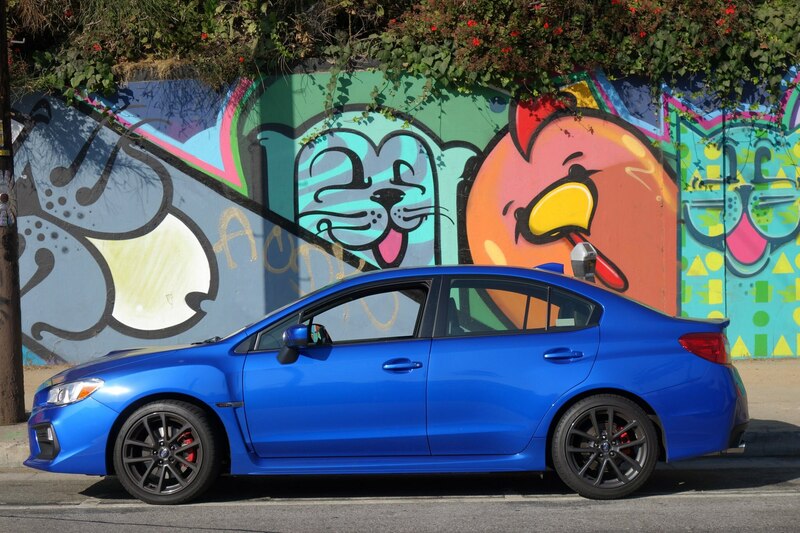 Overall, the WRX remains and excellent choice for enthusiasts and anyone who likes to go fast. 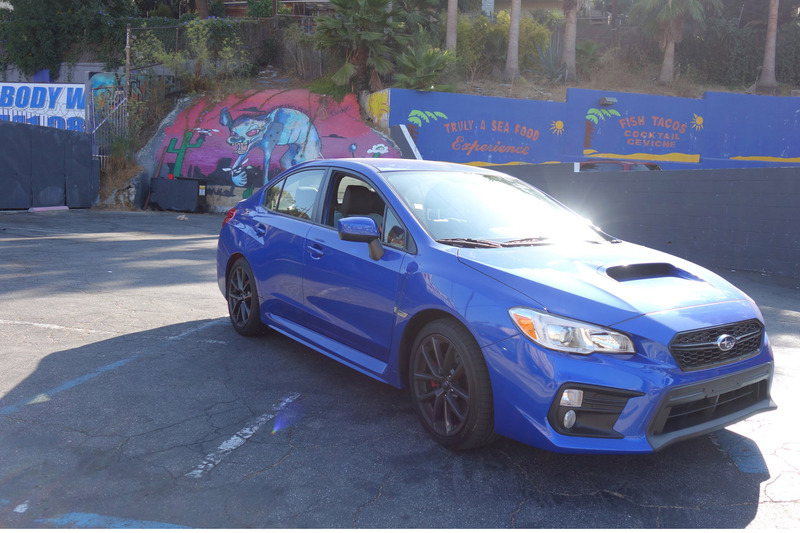 Real fast.